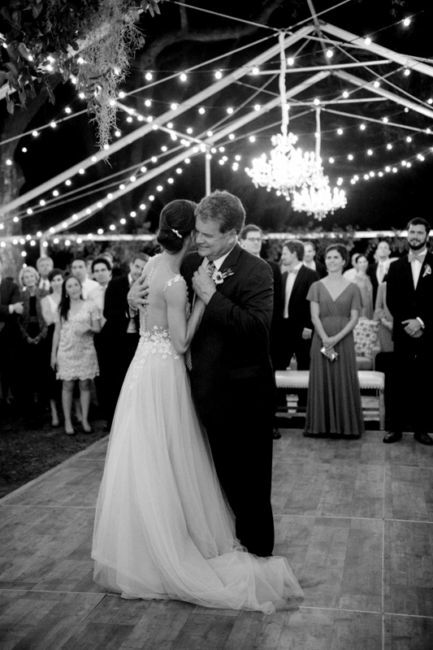 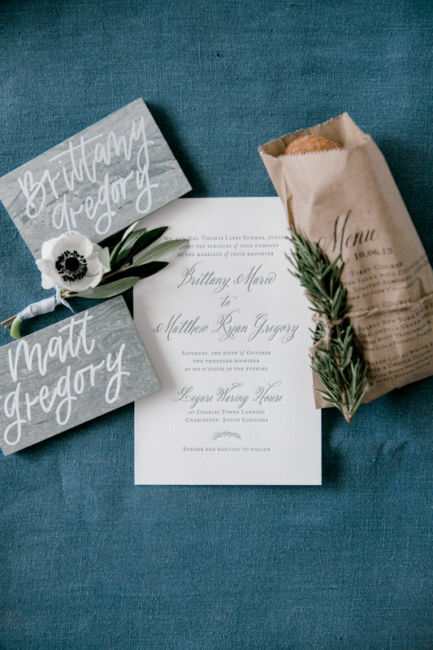 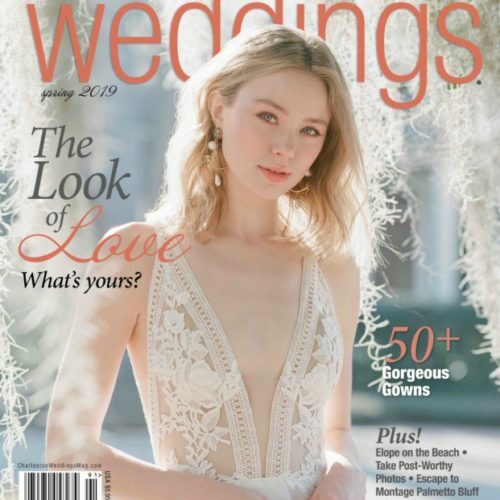 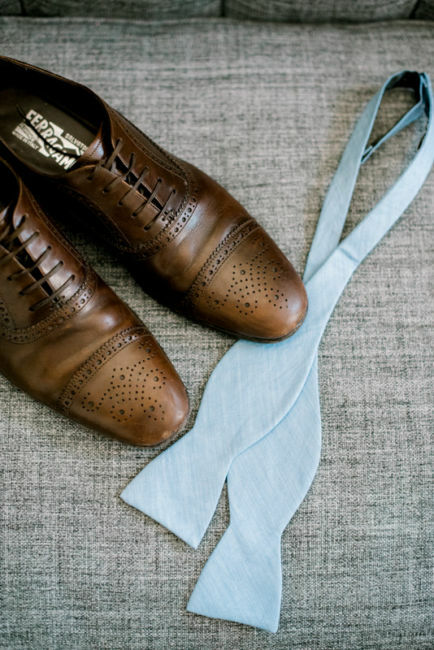 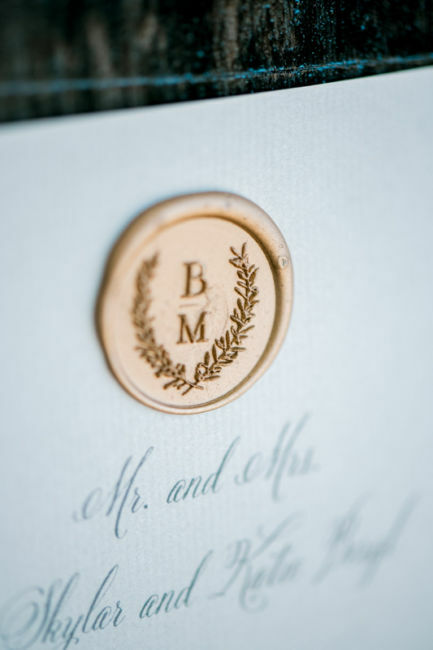 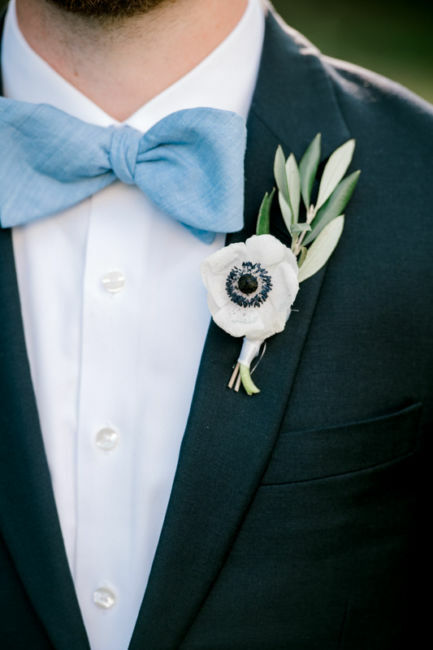 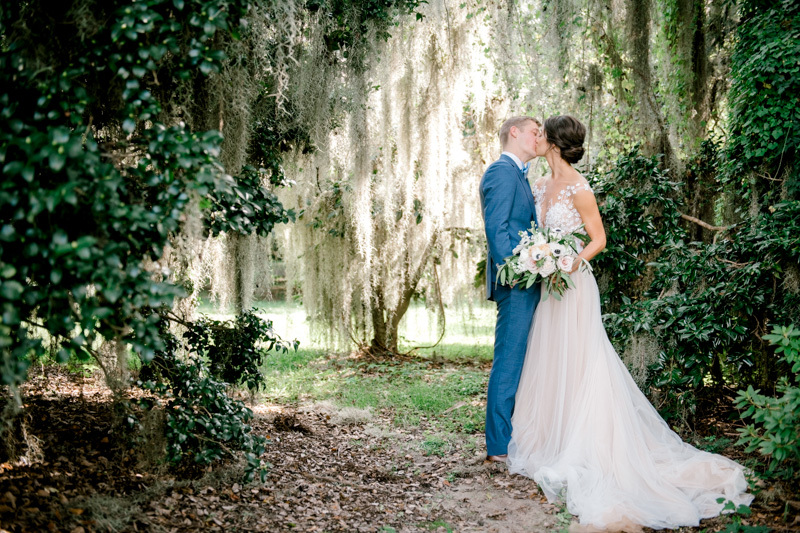 Thrilled to have Brittany & Matt’s wedding featured on Brides.com!!! 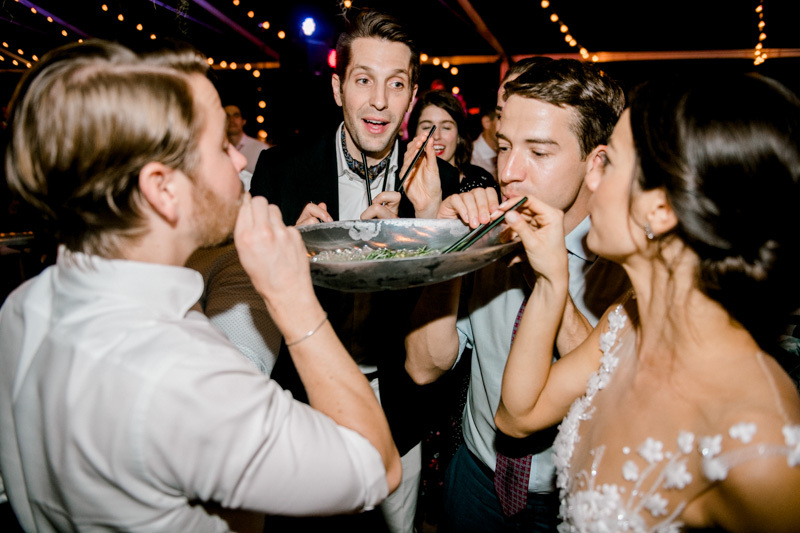 In 2012, Brittany was living in Boston performing with the Boston Ballet and Matt was living in New York working for an investment firm. 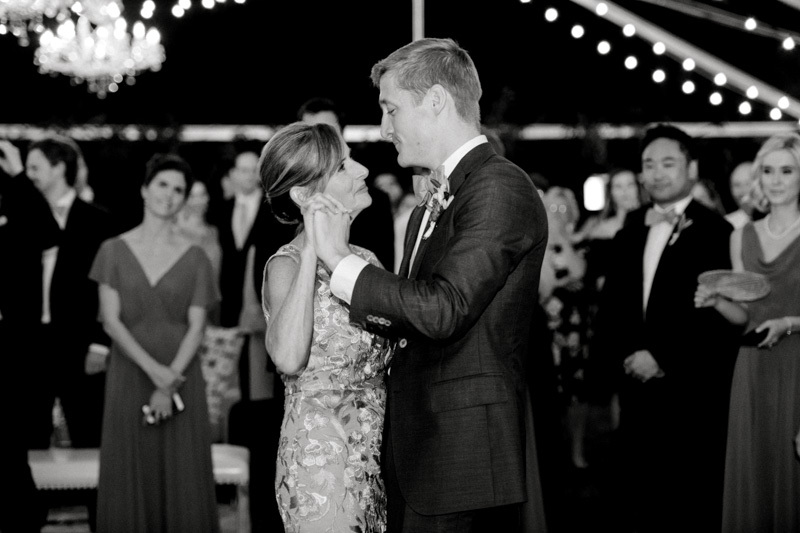 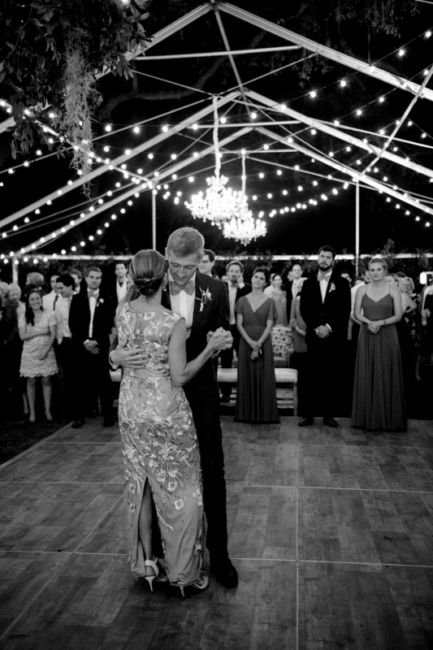 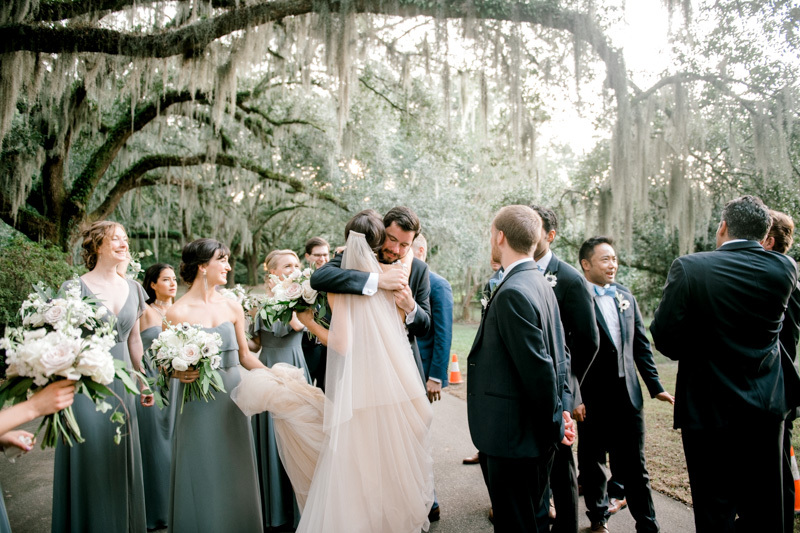 They first met in Charleston, SC during the Memorial Day weekend that year at a mutual friend’s birthday party. 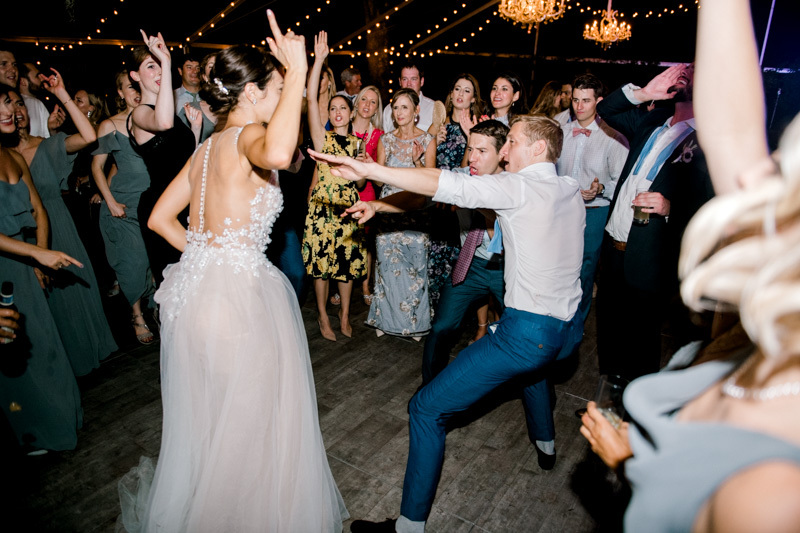 Then Brittany was in New York later that summer for a work project; they reconnected, started dating, and the rest is history! 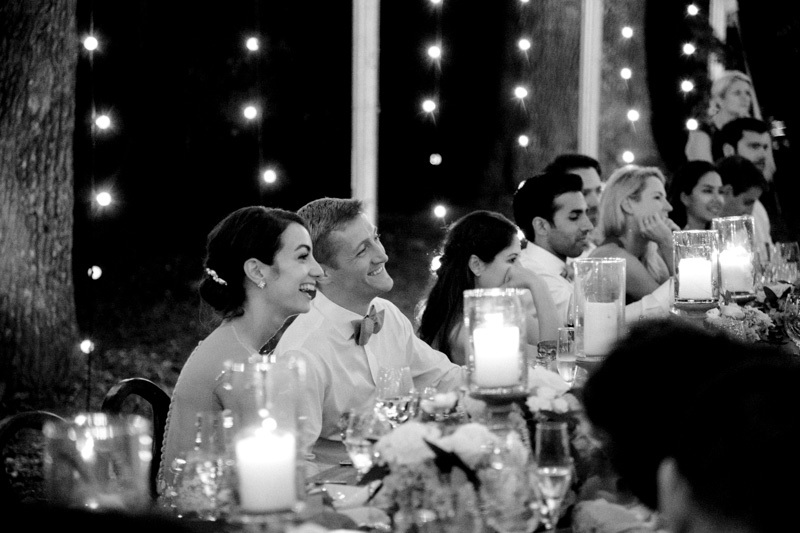 Brittany and Matt love to travel. 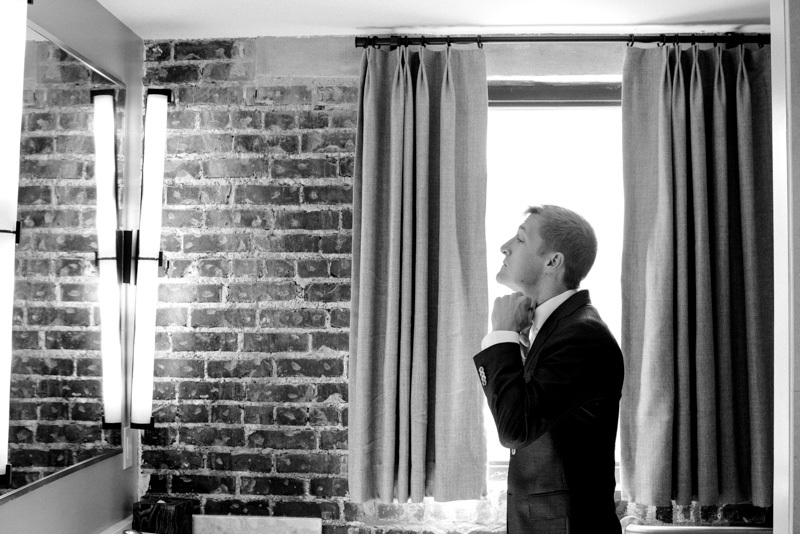 Matt’s sense of adventure is one of the things Brittany loves most about Matt. 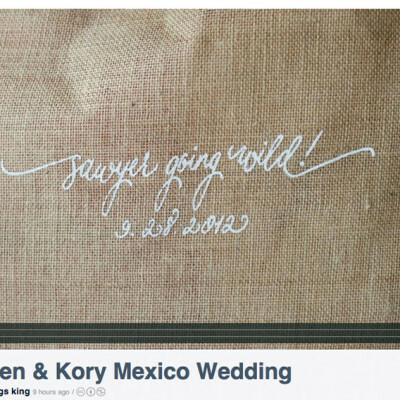 Their vacations together are some of their best memories. 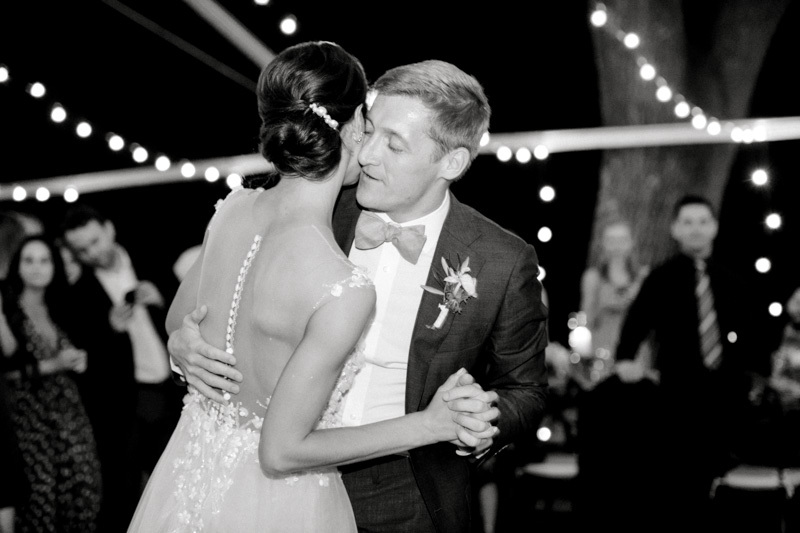 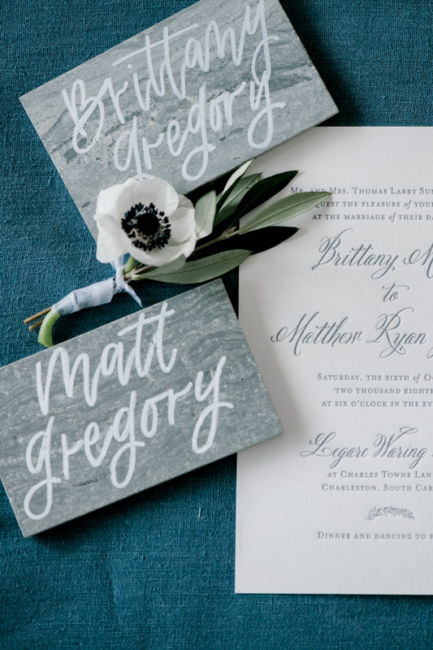 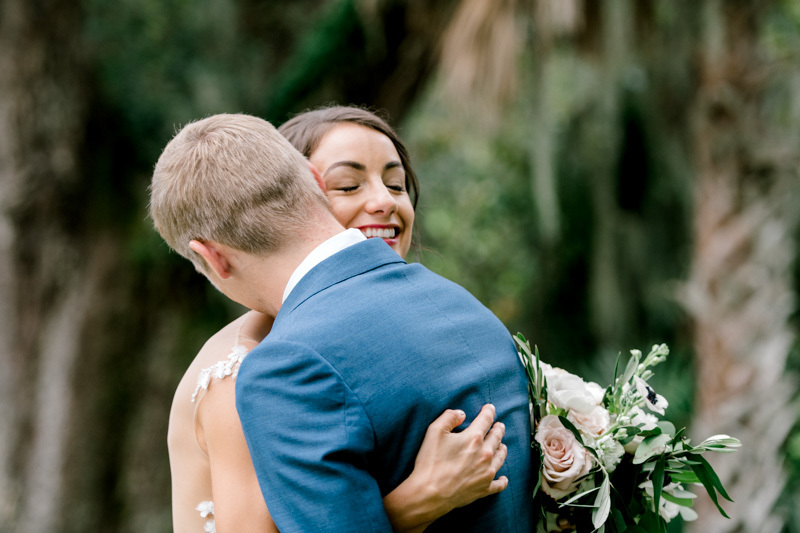 For Matt and Brittany, it was an easy decision to have their wedding in historic Charleston – not only a scenic, fun destination but where the spark of their love began. 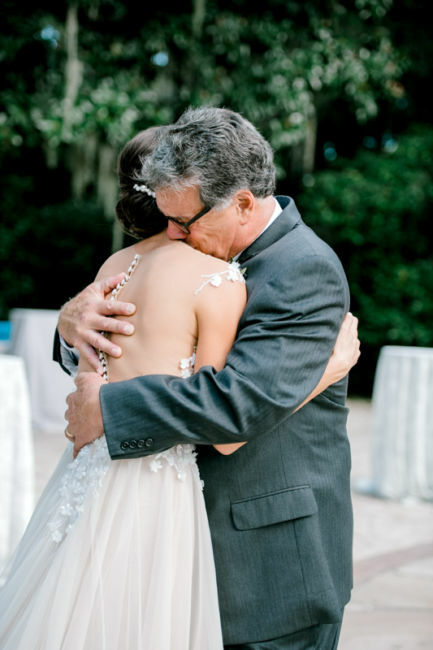 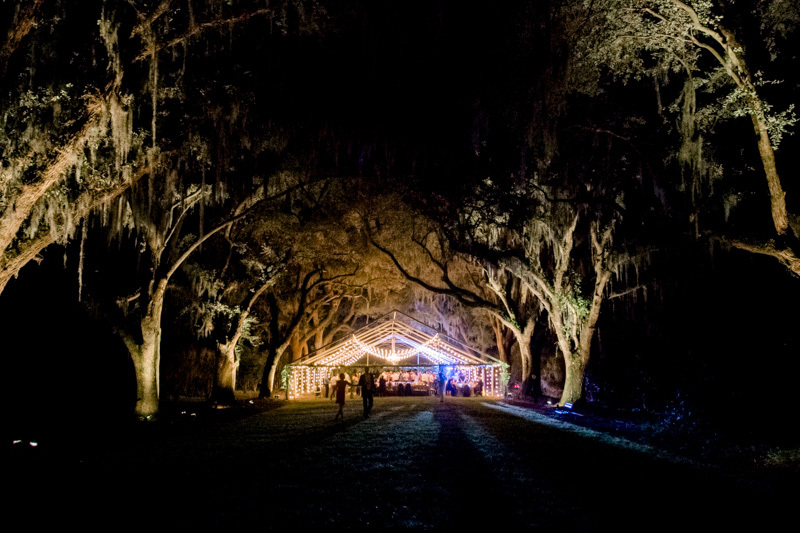 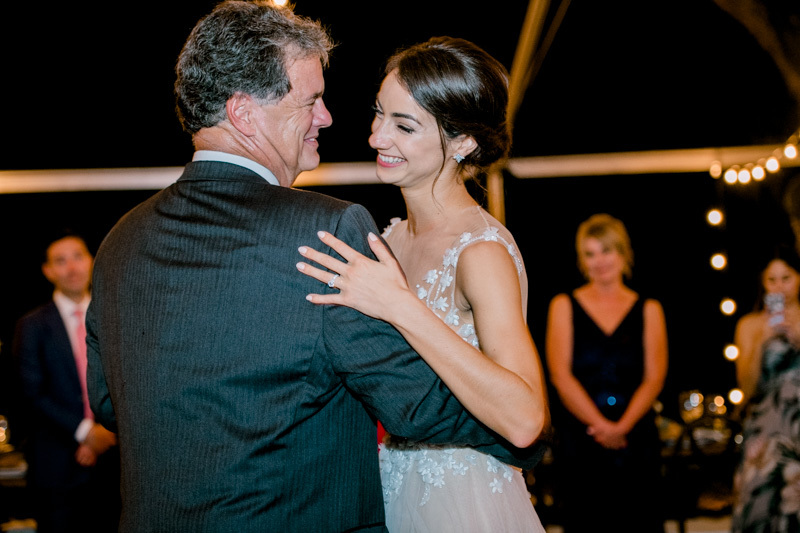 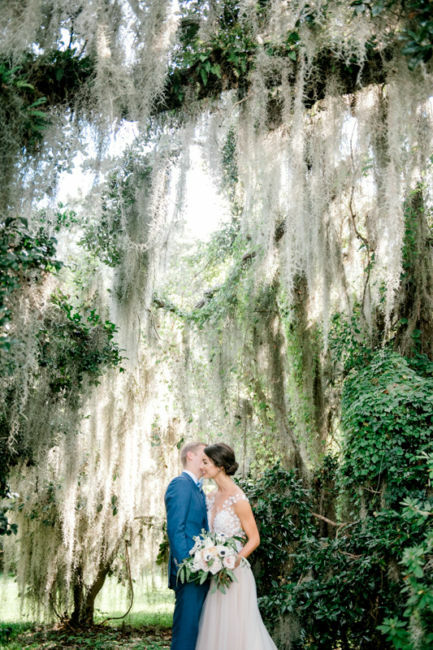 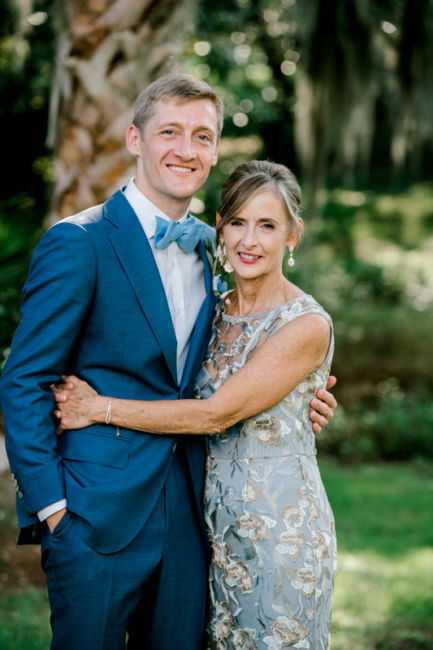 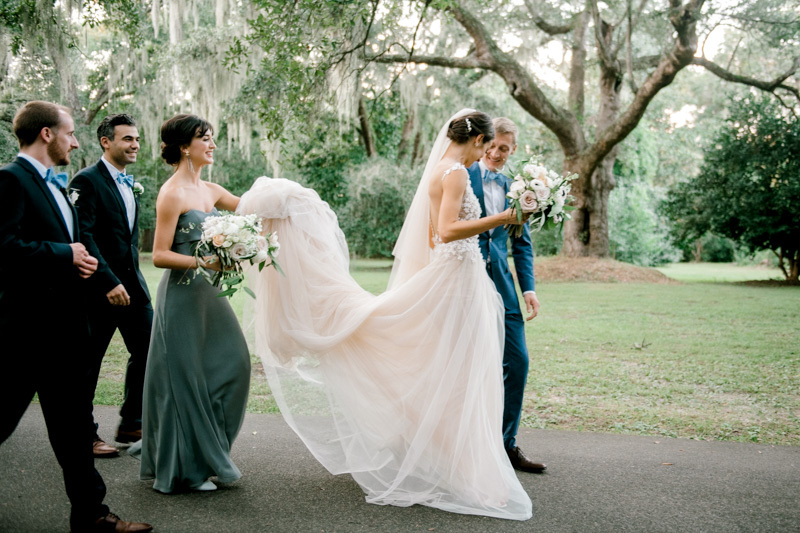 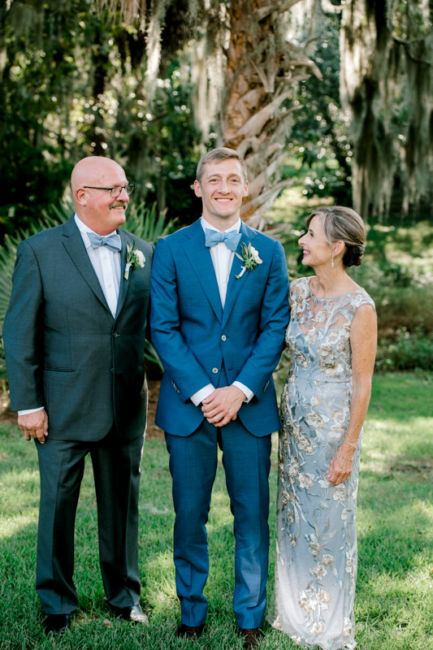 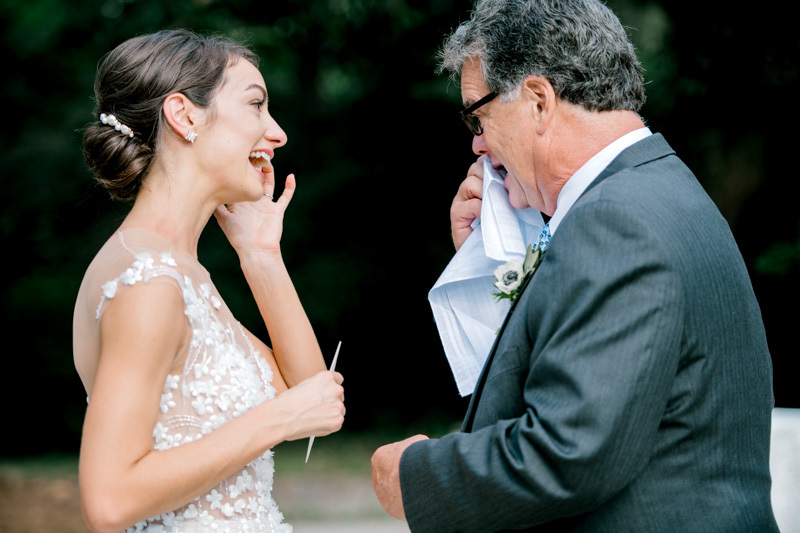 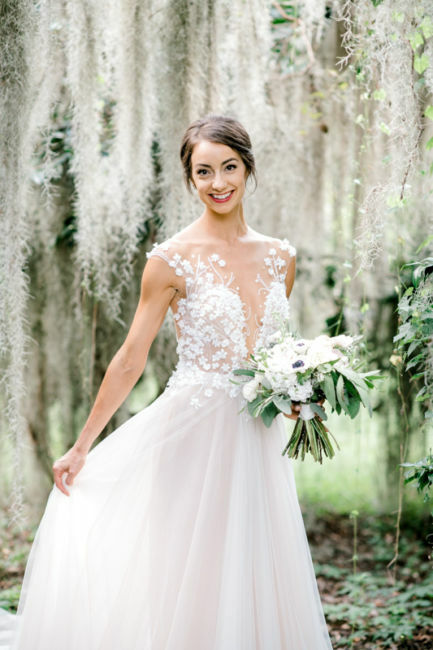 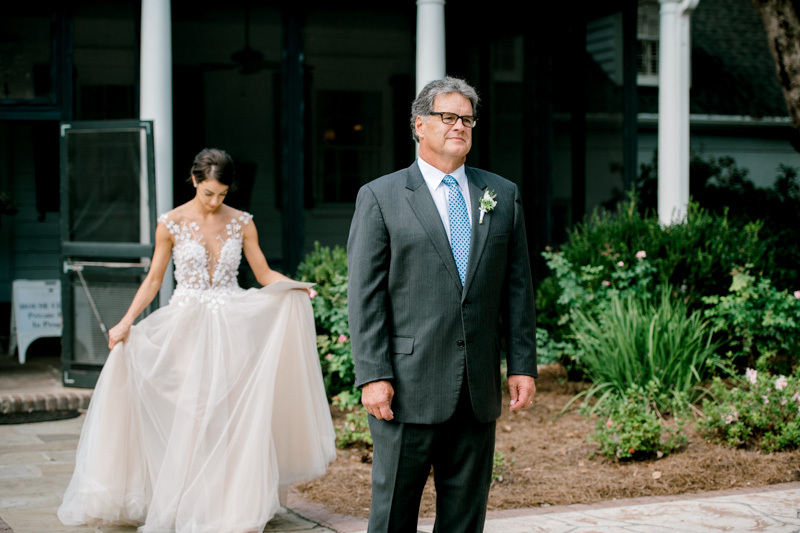 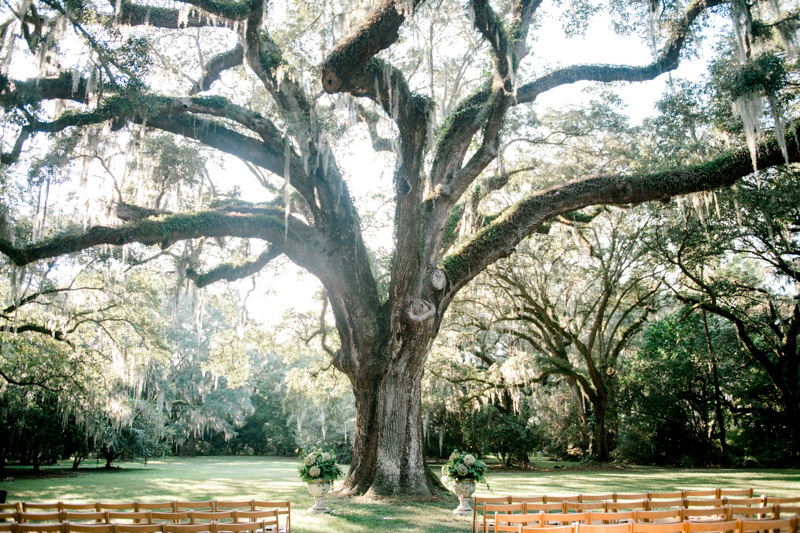 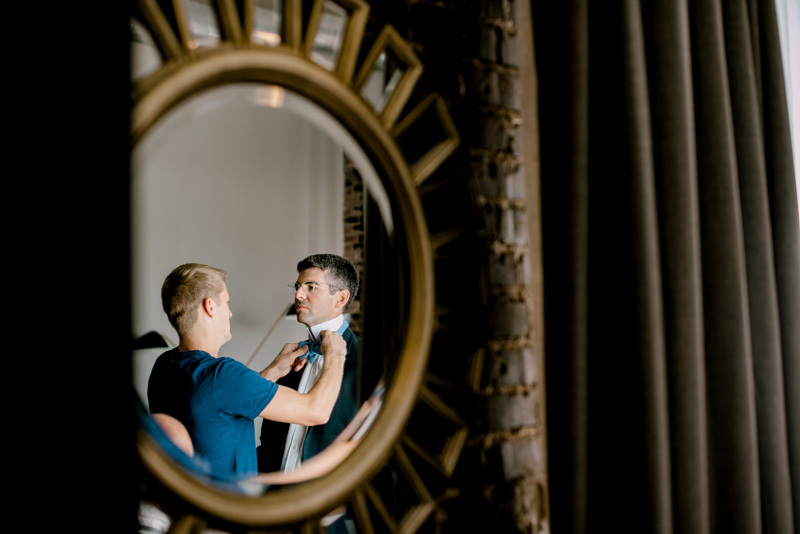 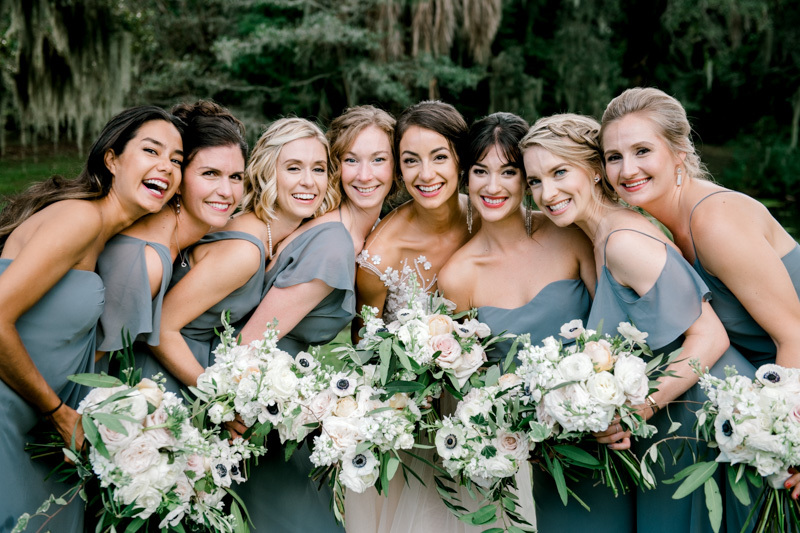 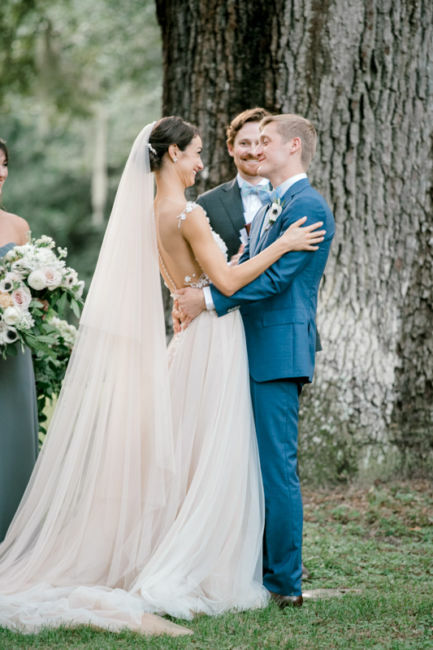 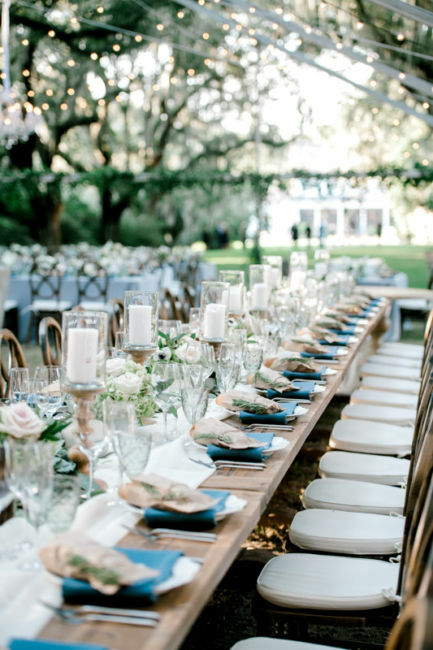 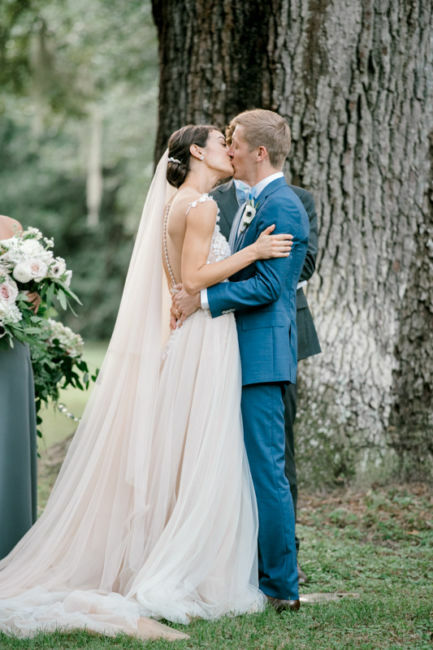 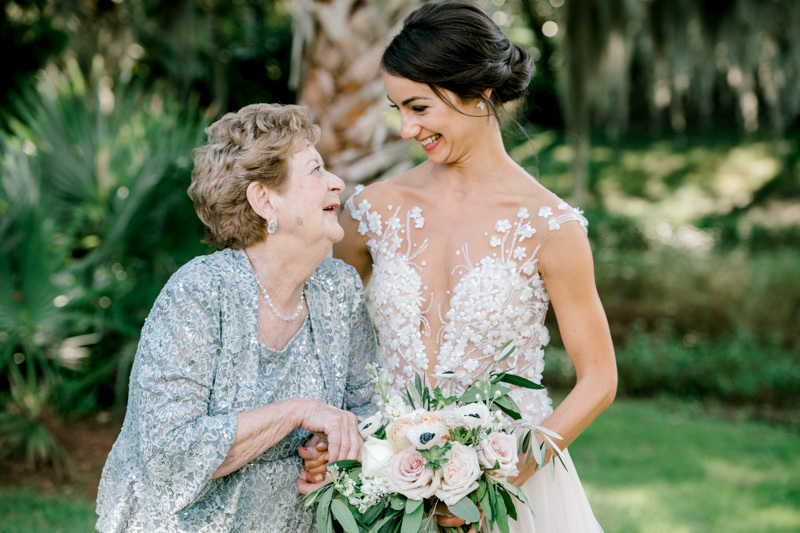 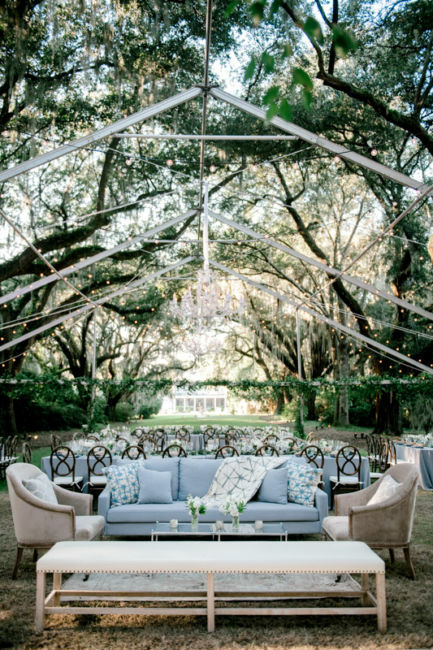 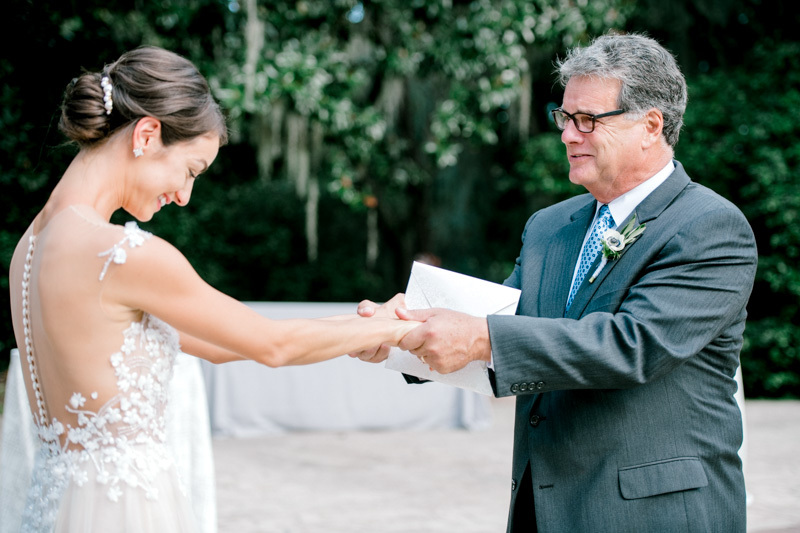 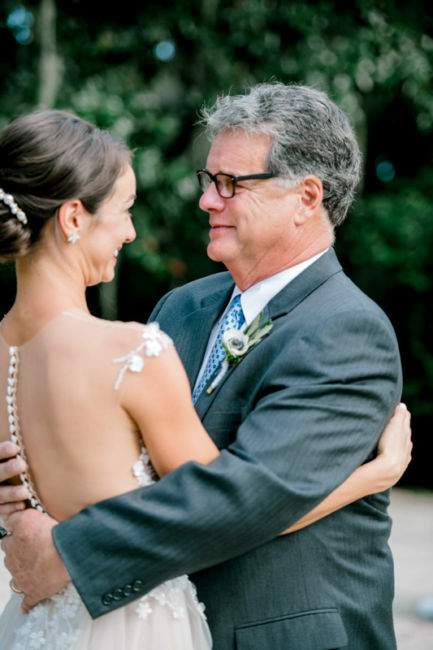 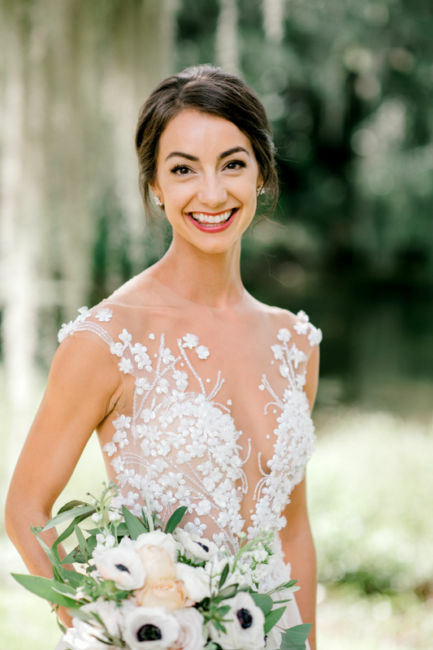 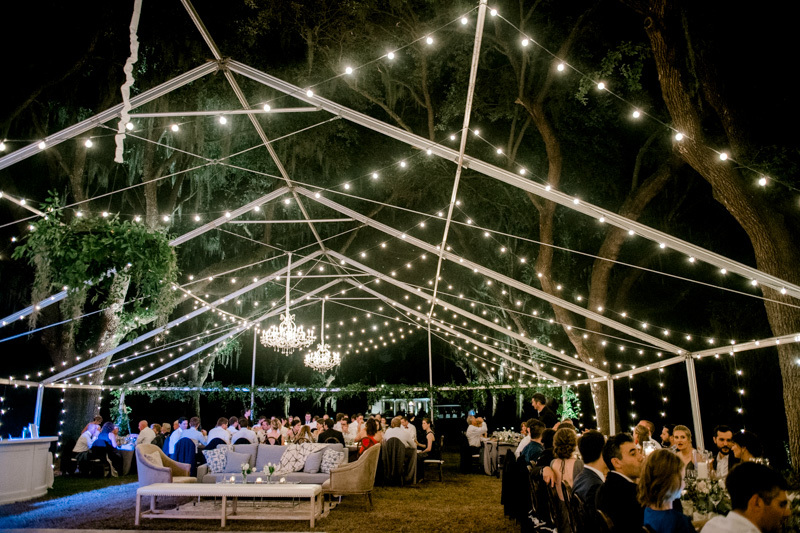 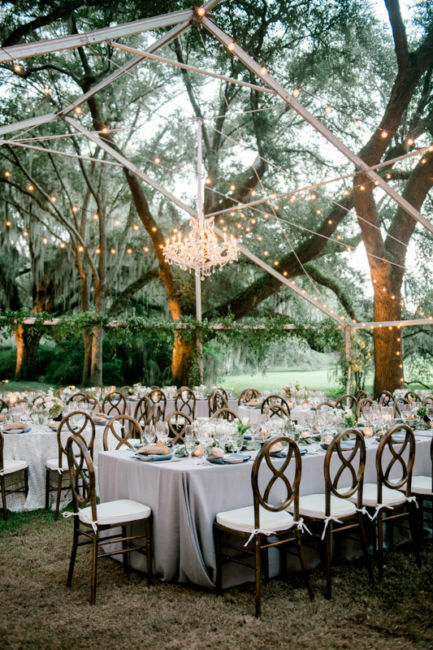 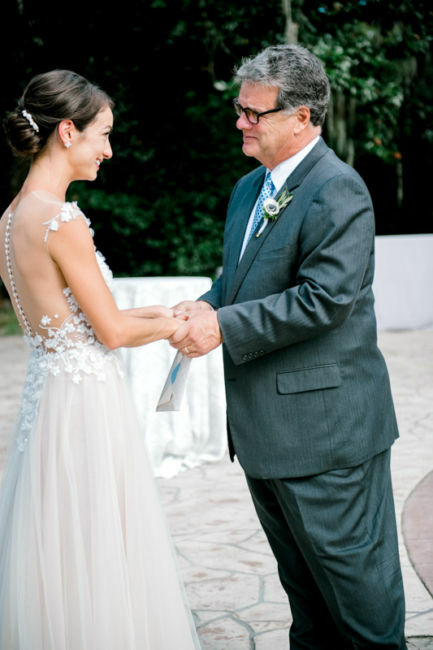 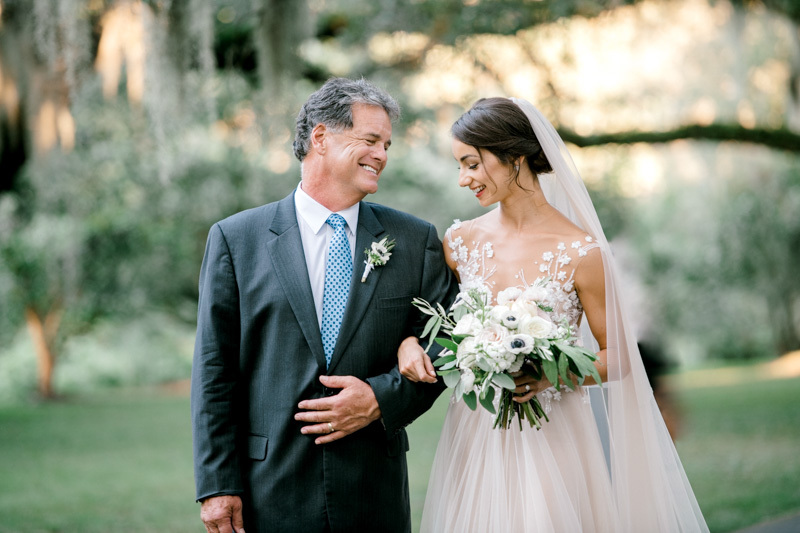 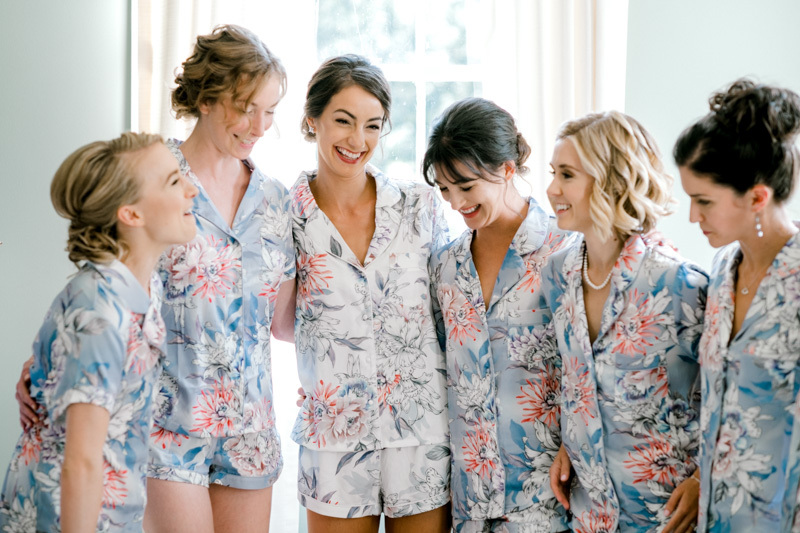 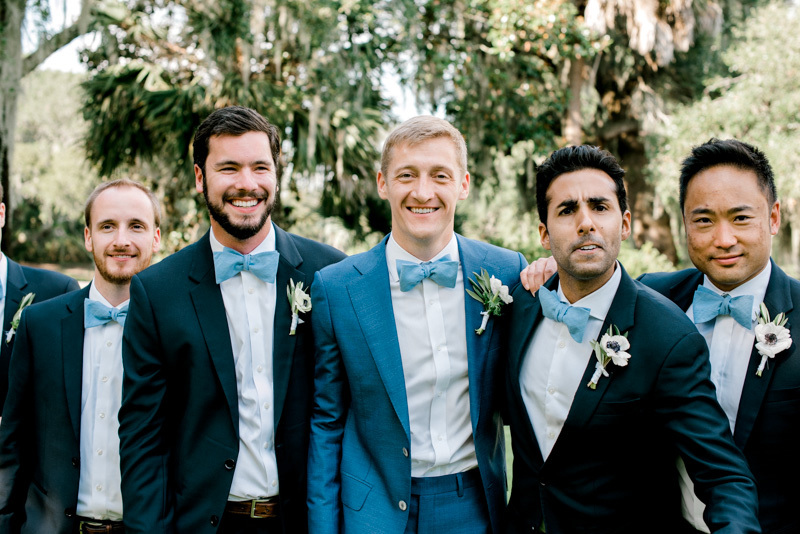 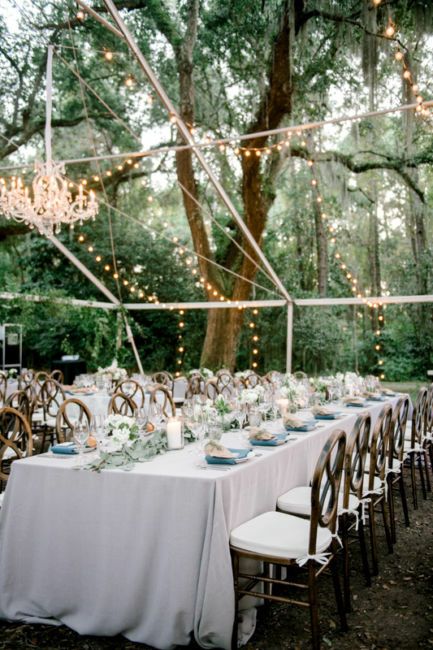 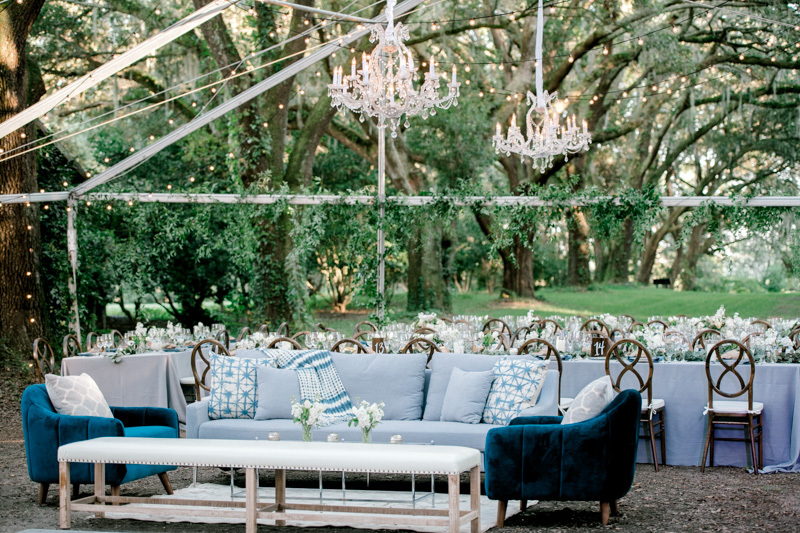 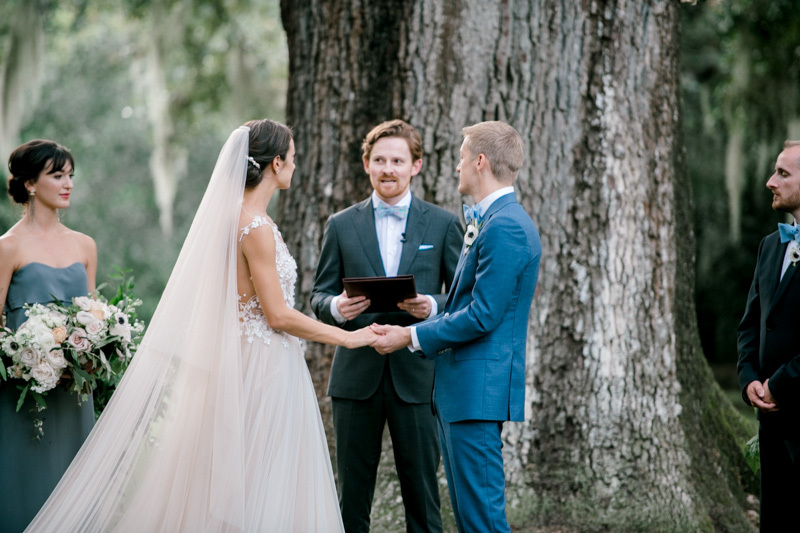 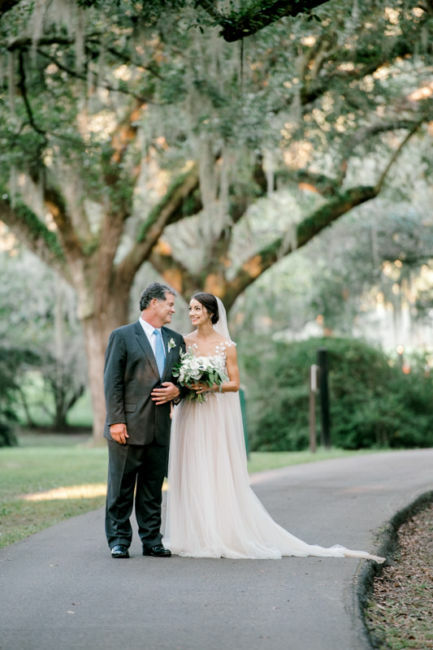 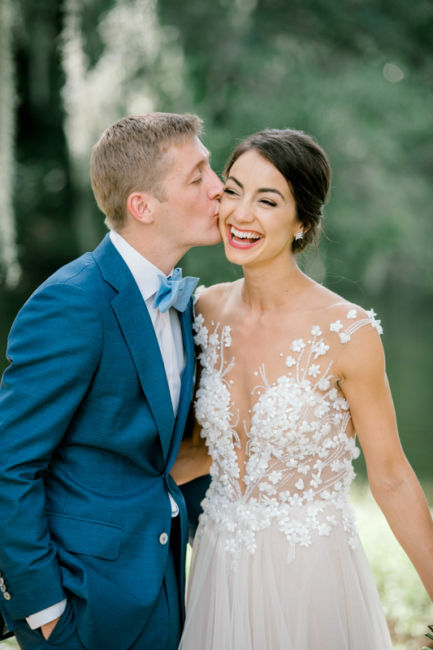 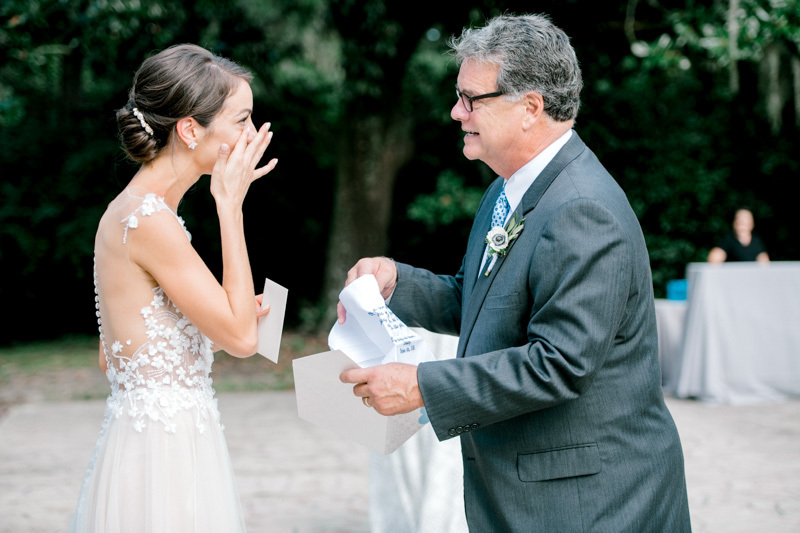 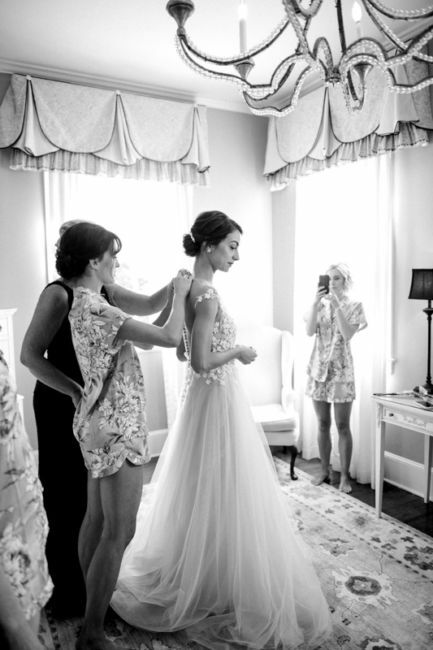 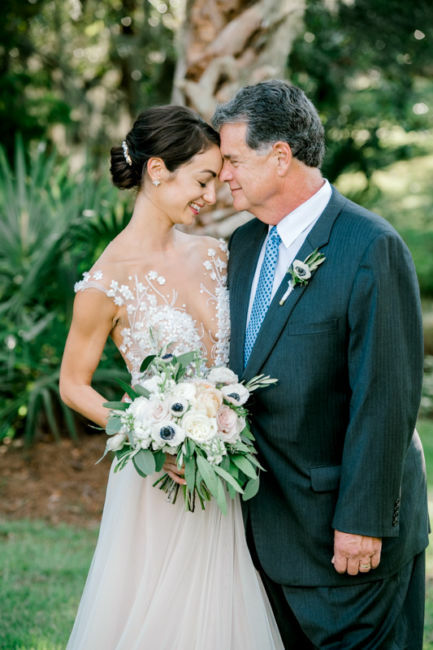 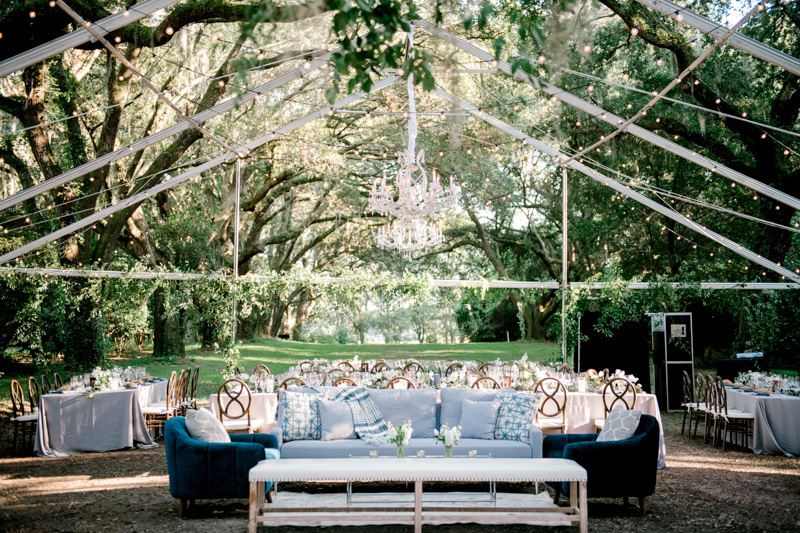 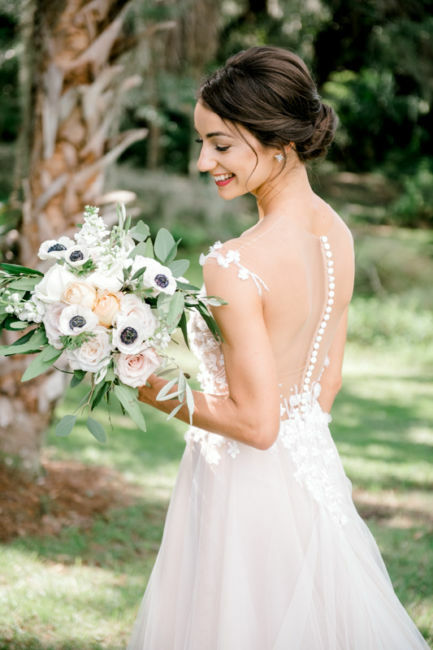 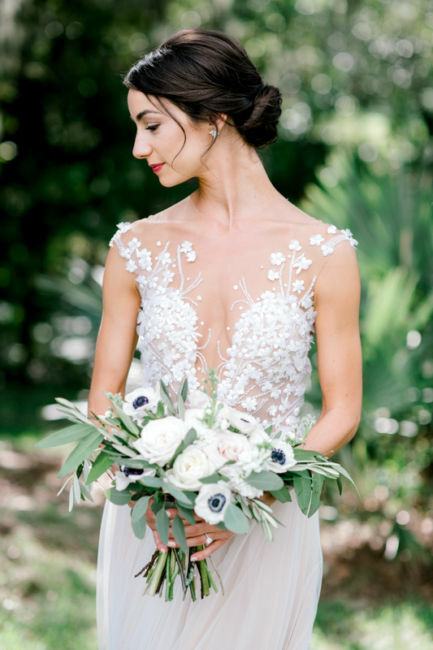 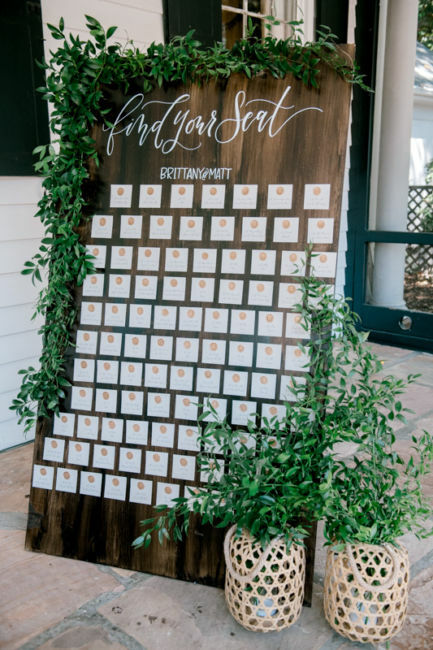 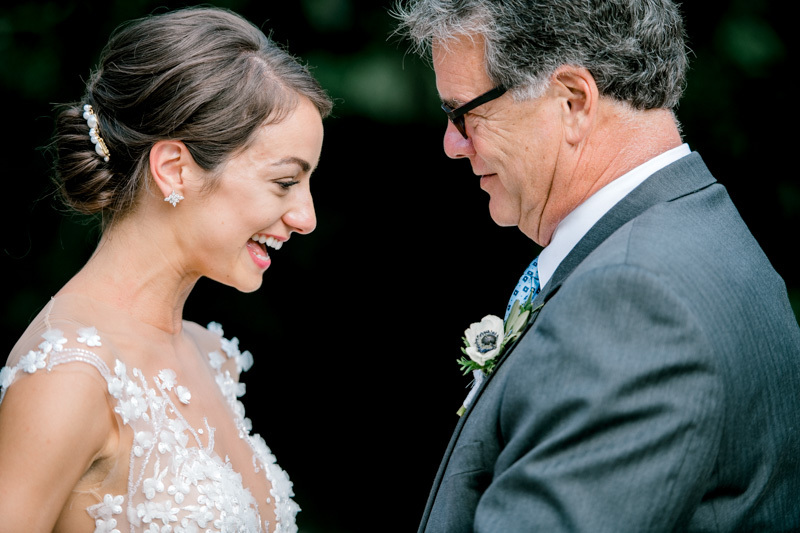 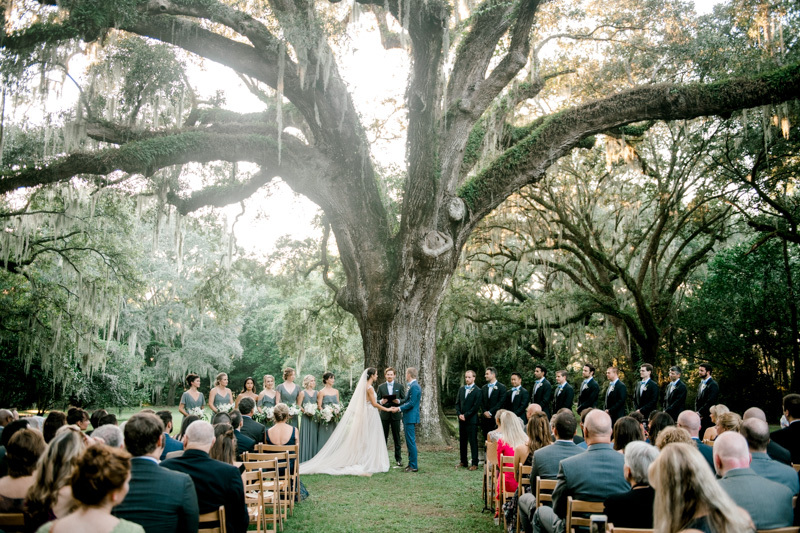 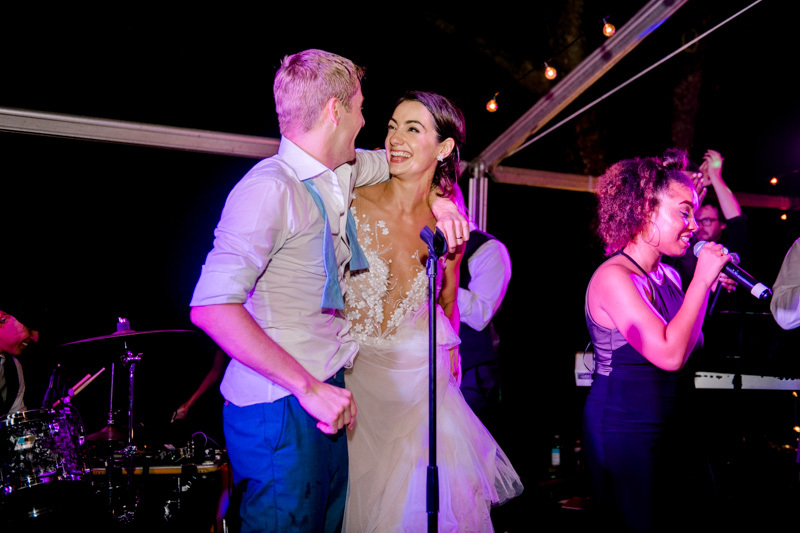 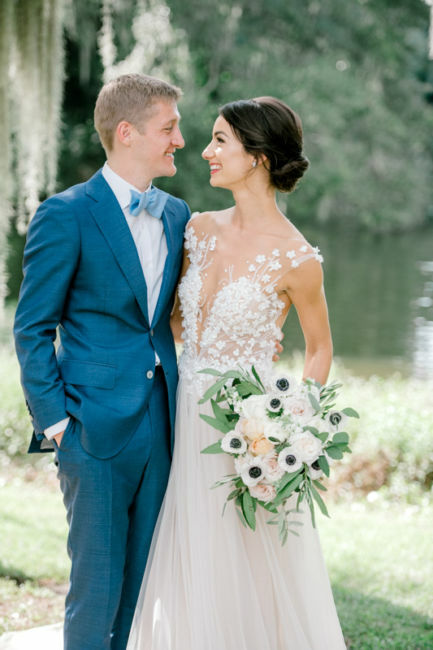 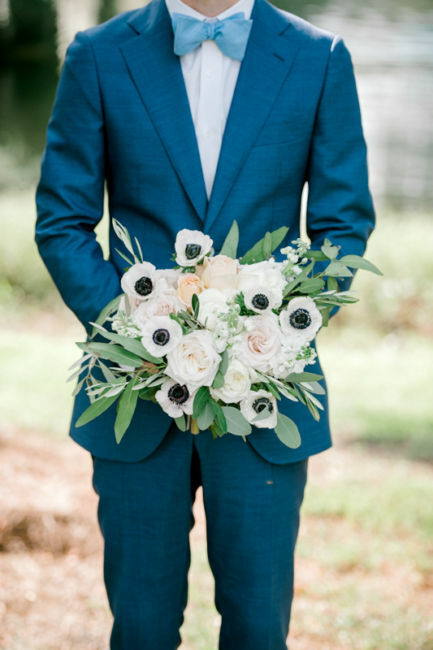 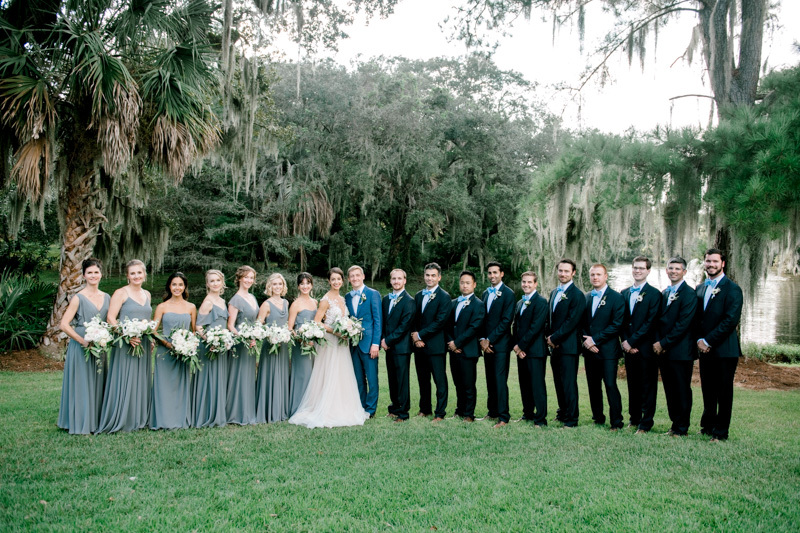 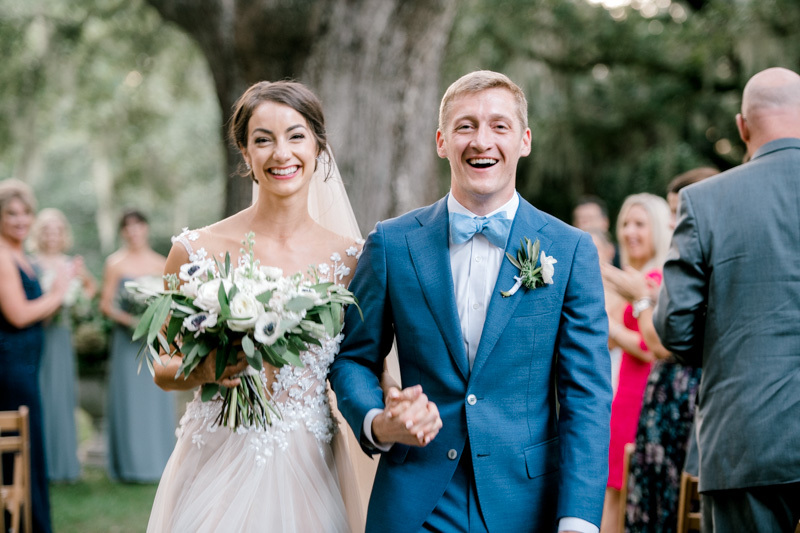 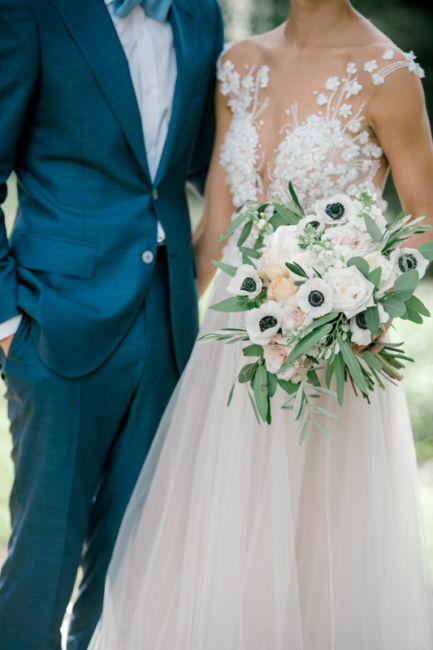 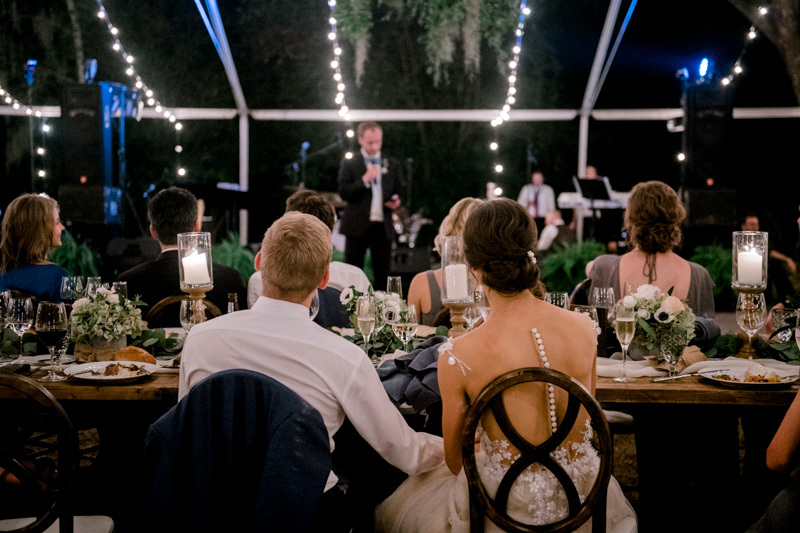 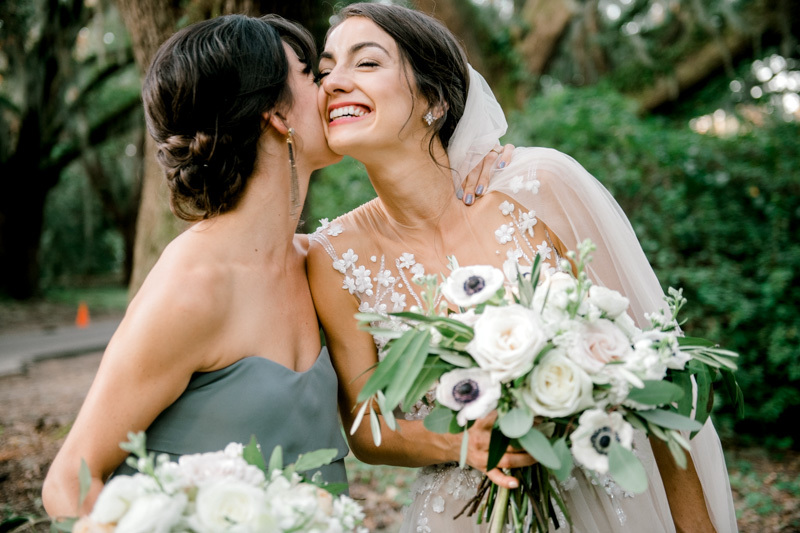 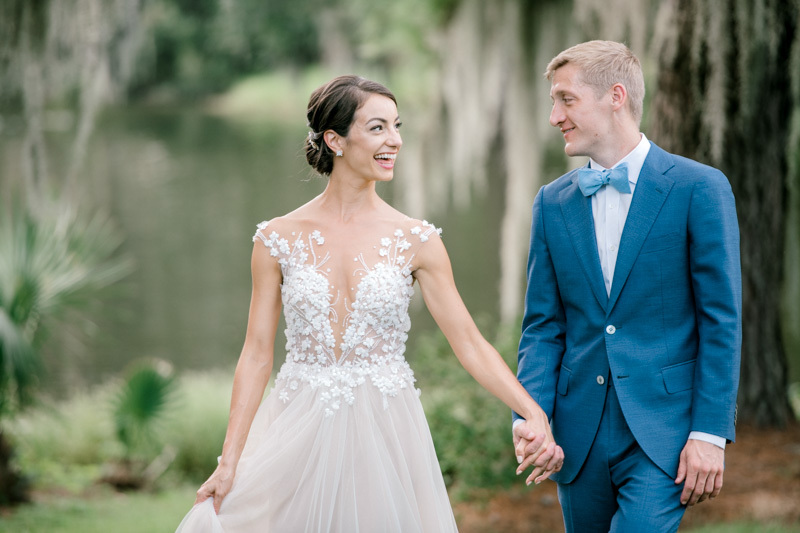 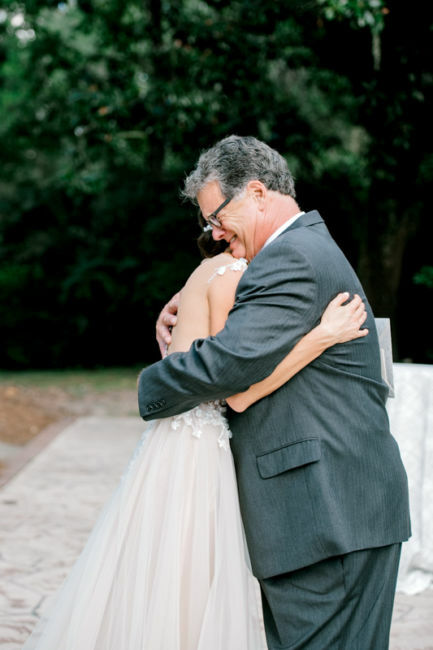 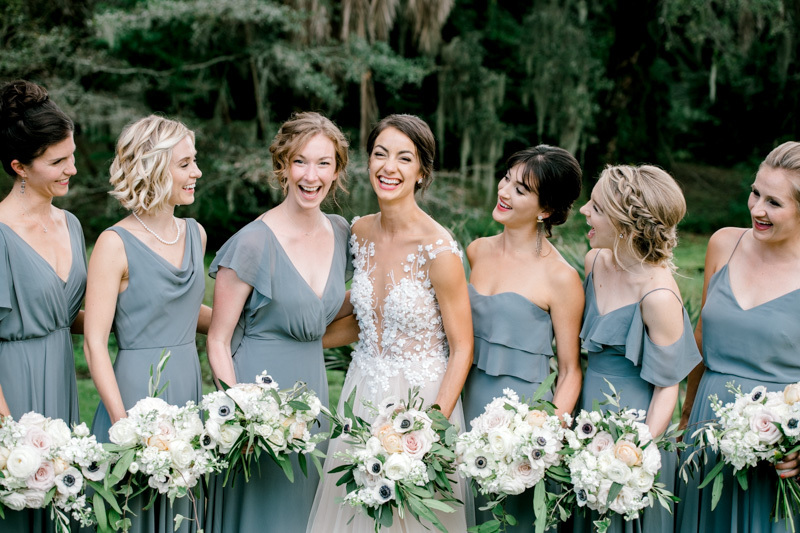 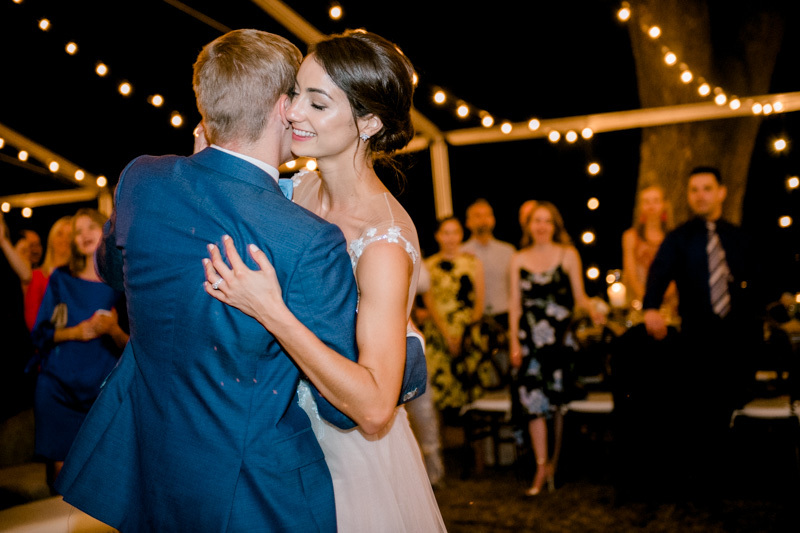 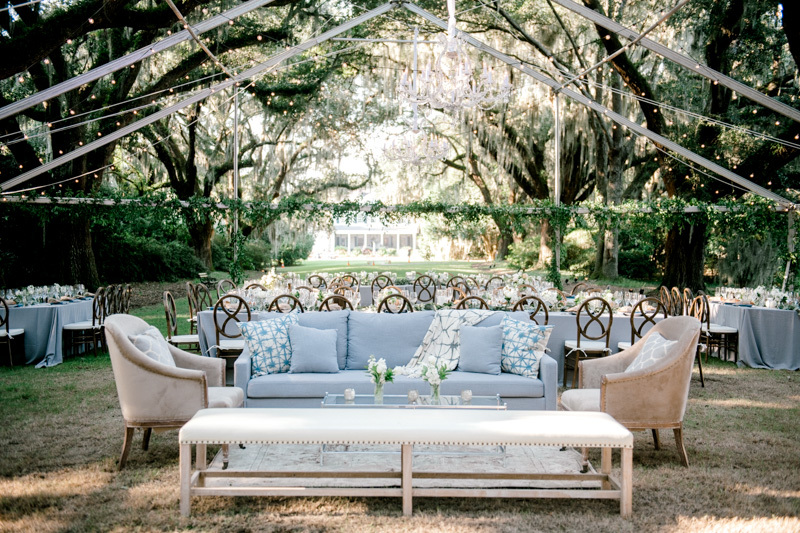 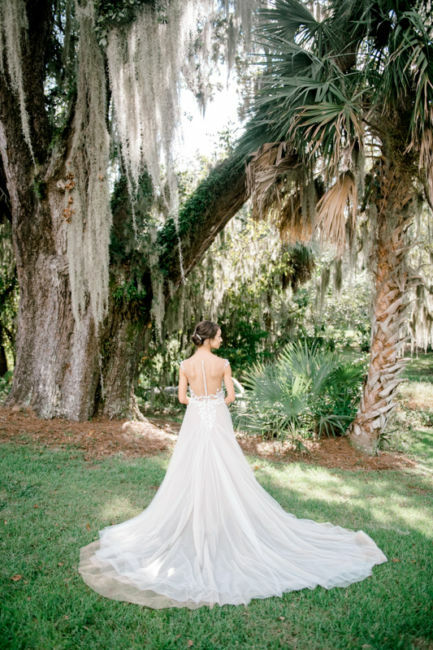 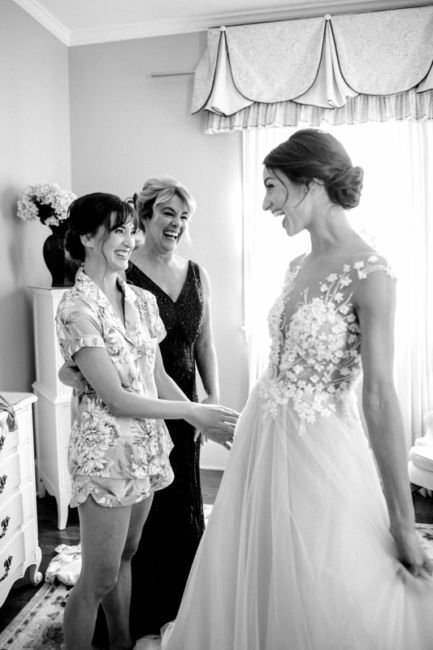 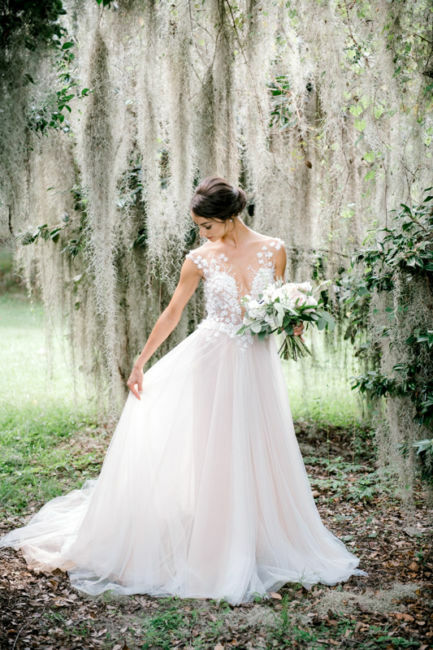 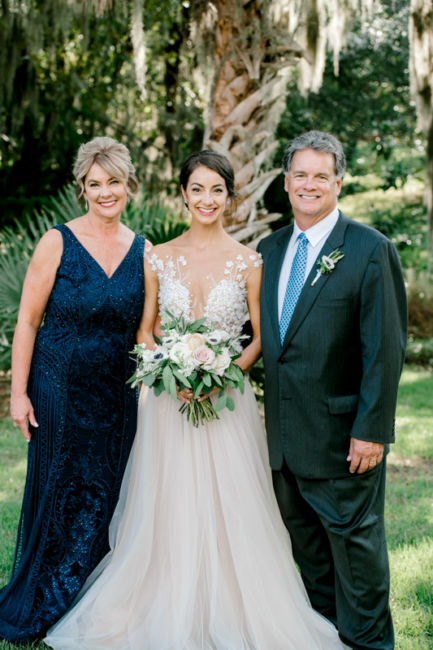 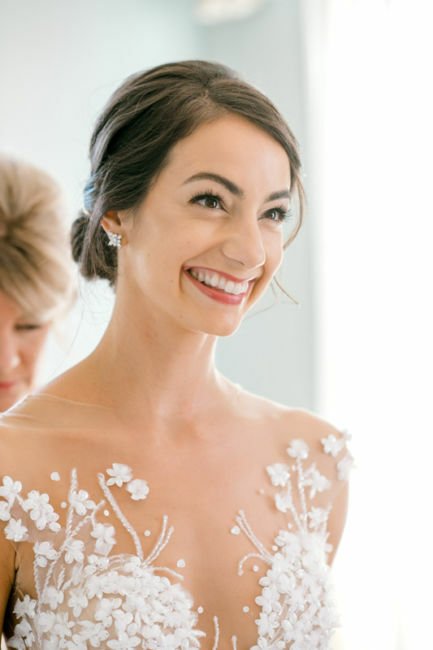 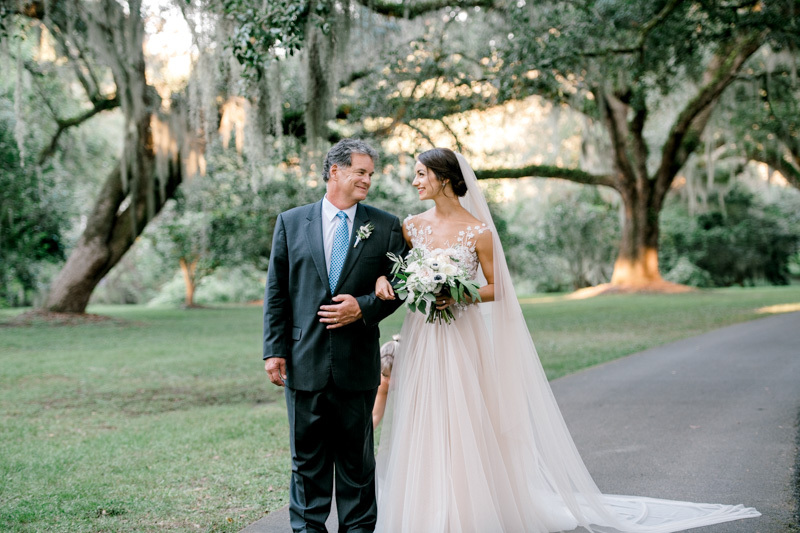 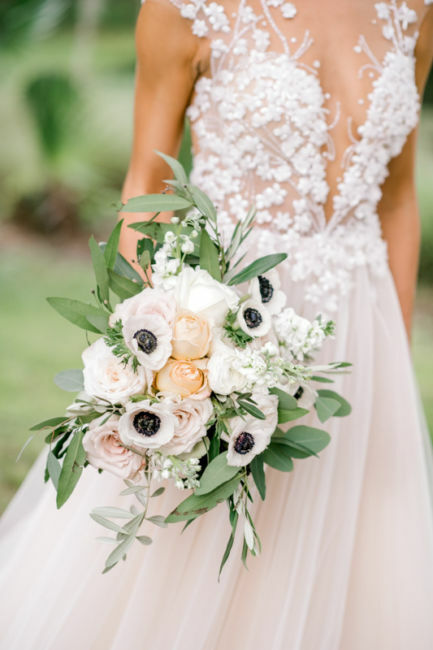 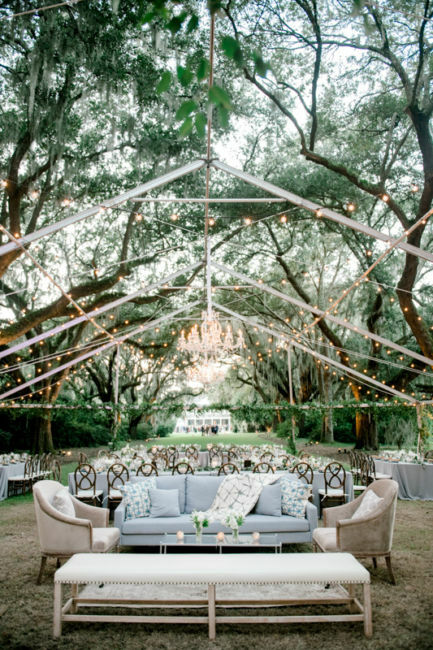 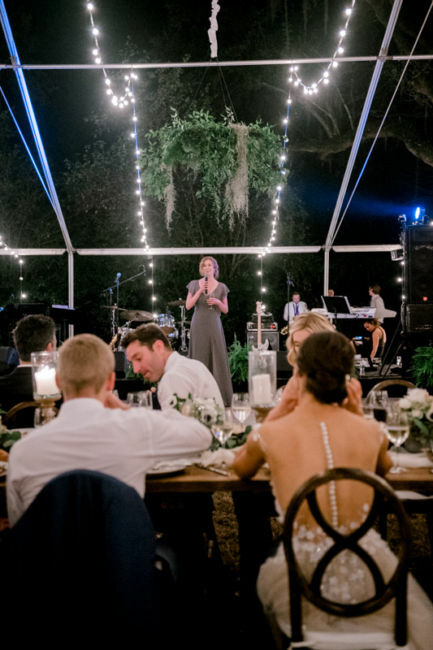 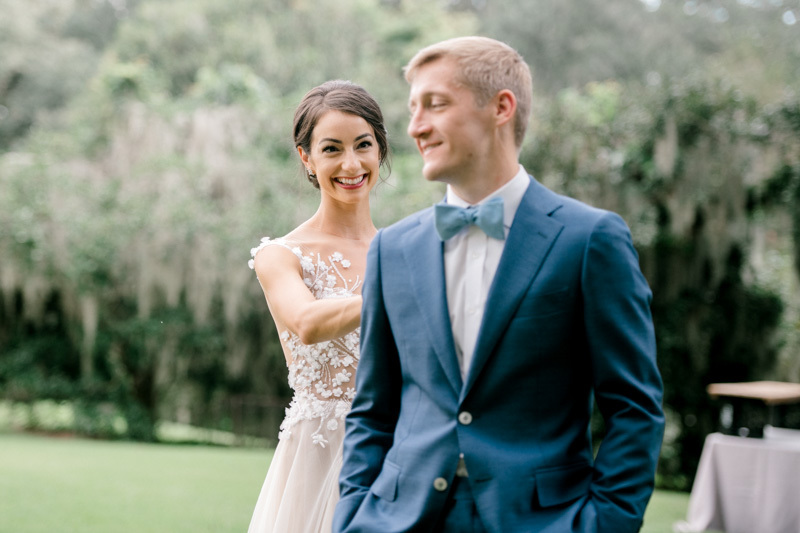 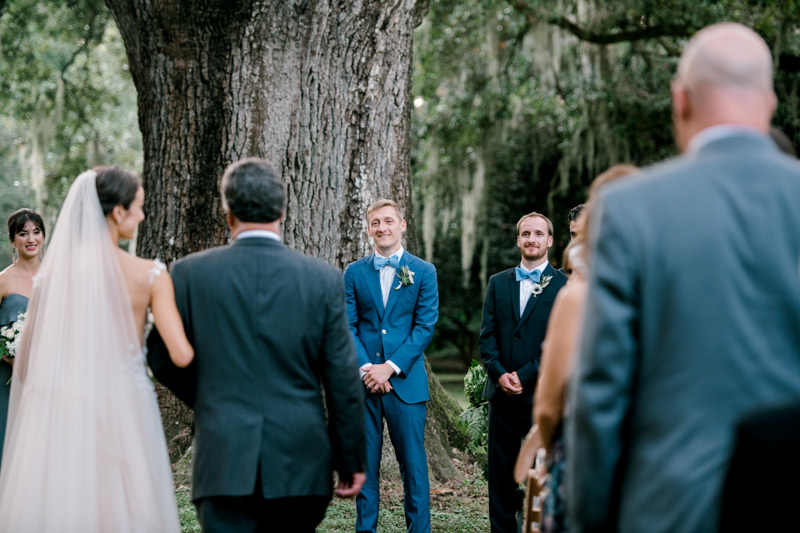 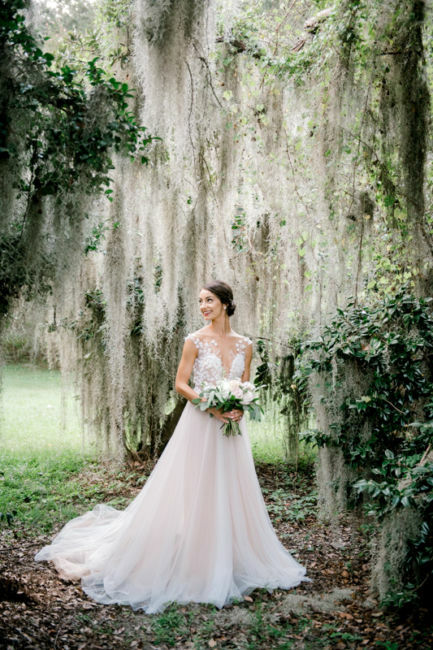 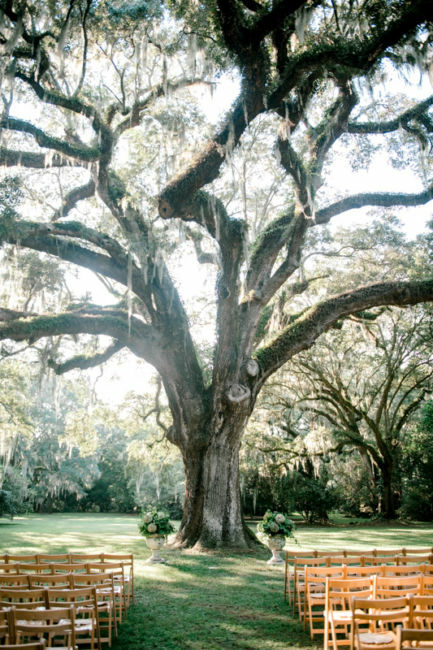 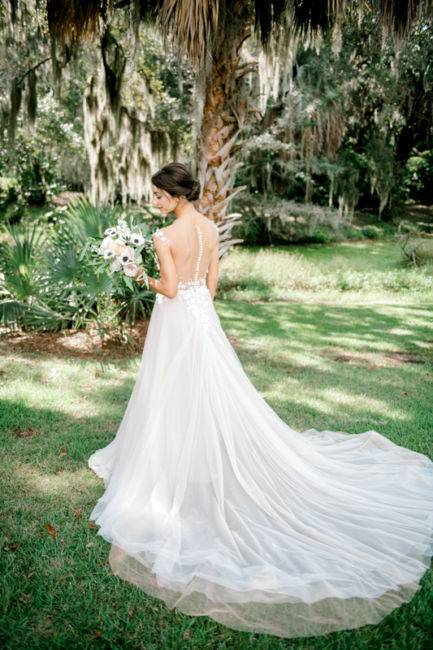 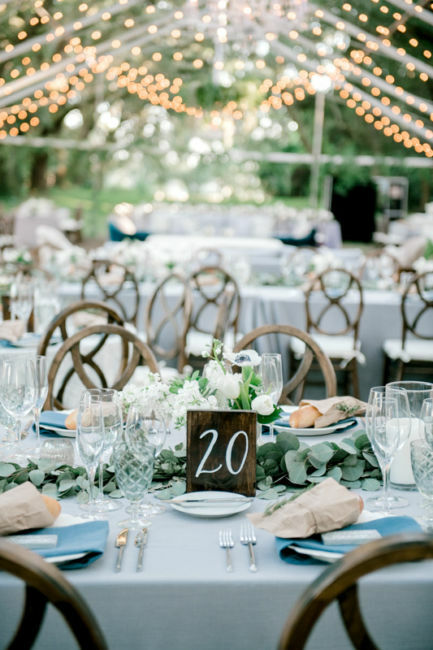 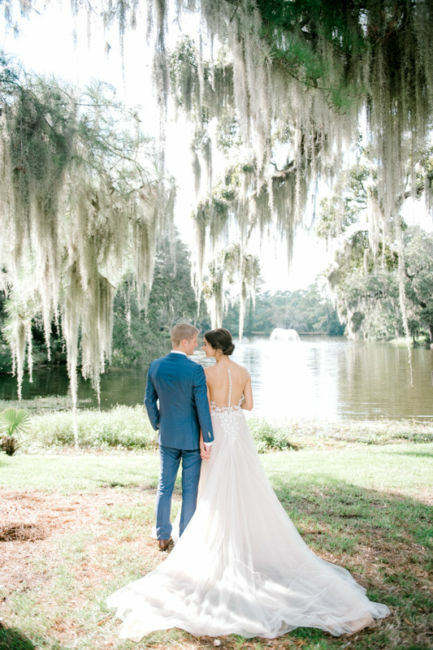 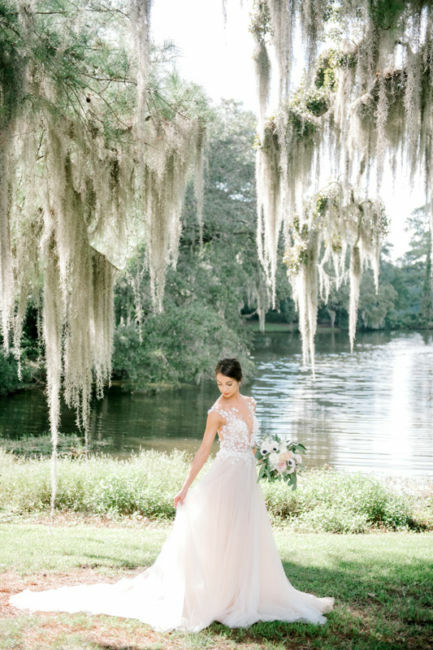 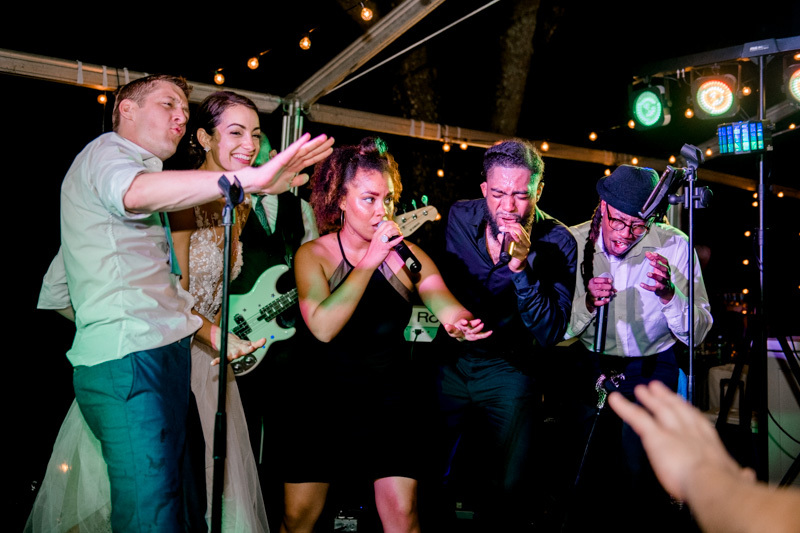 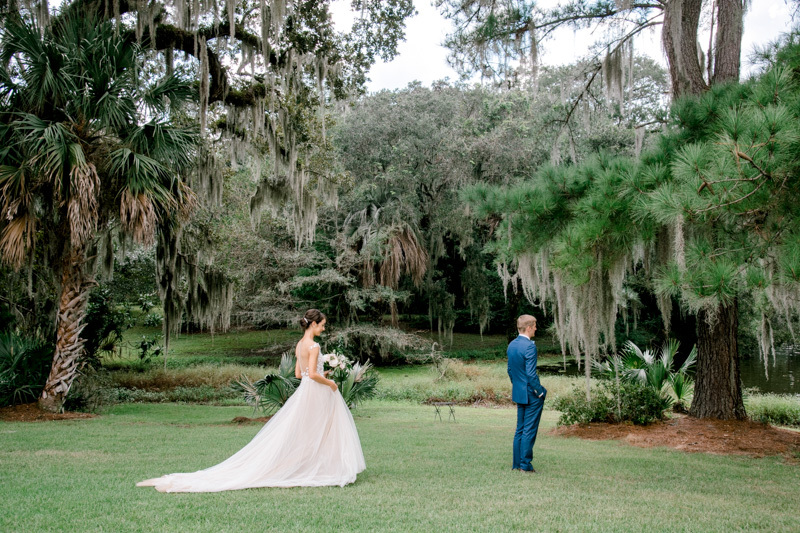 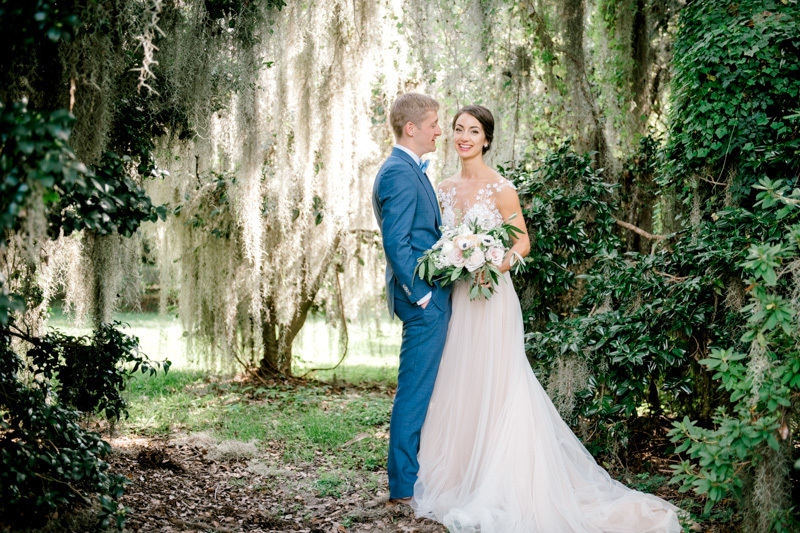 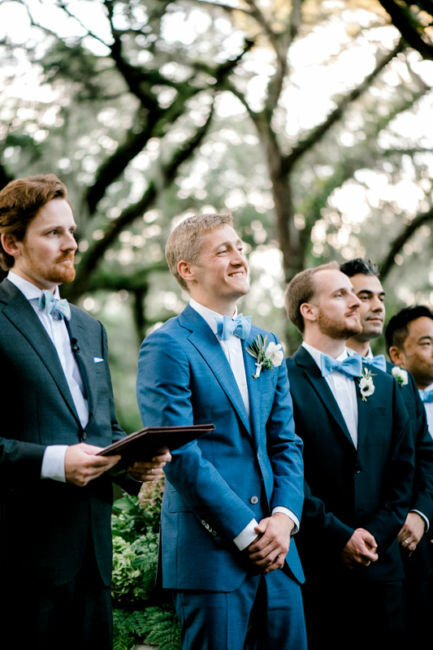 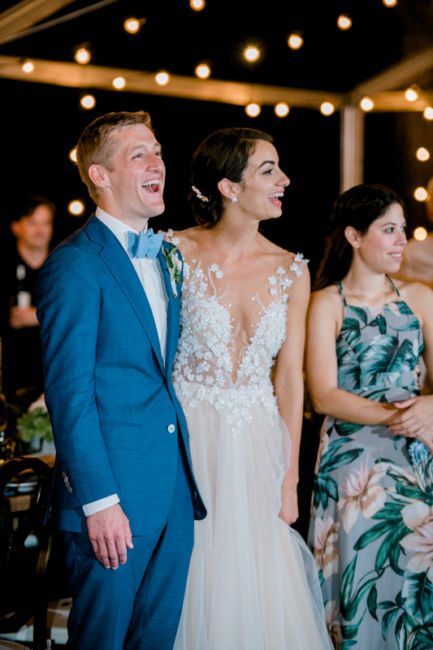 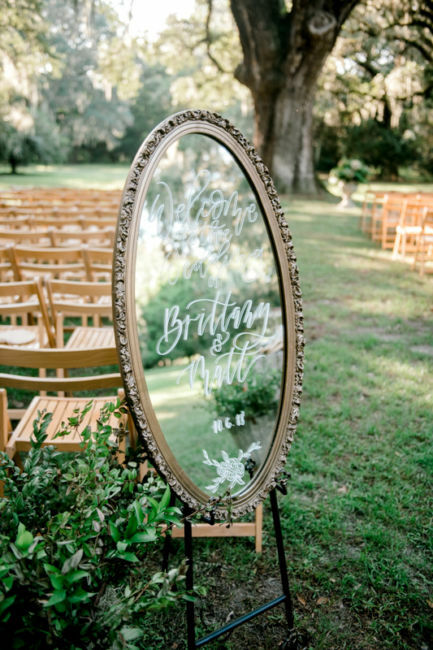 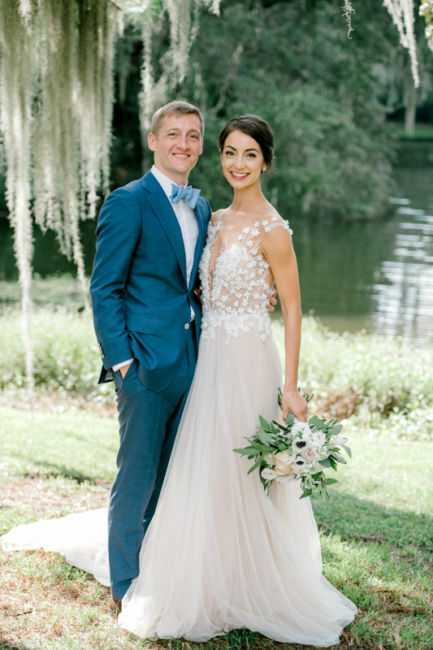 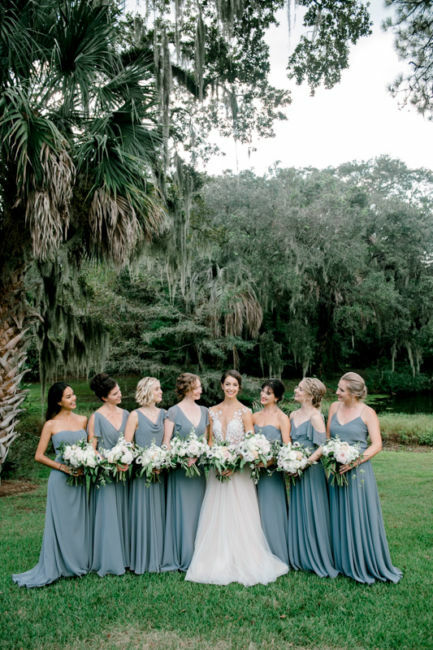 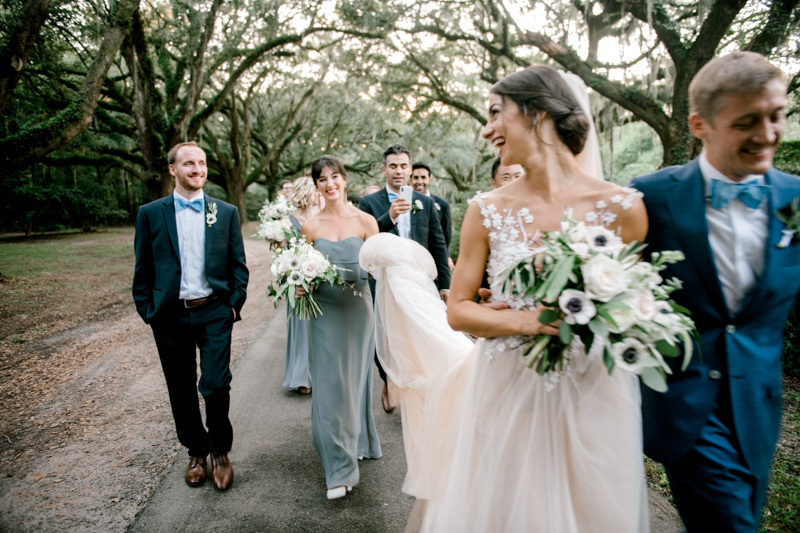 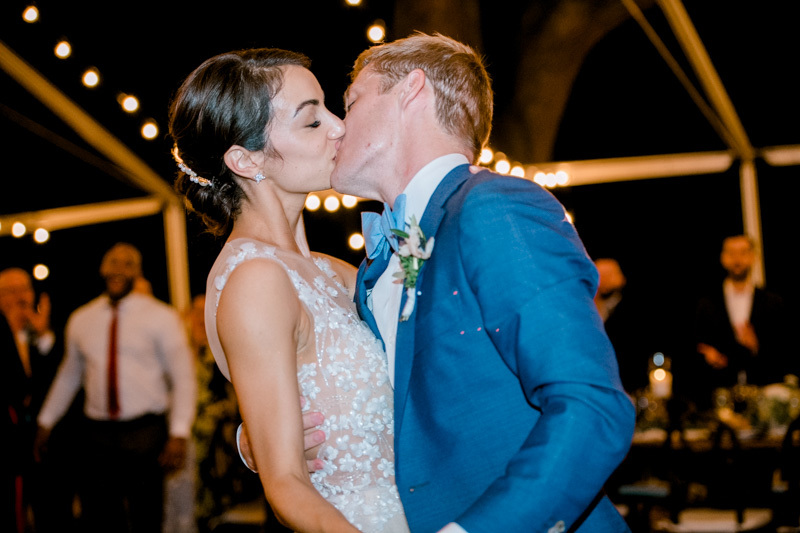 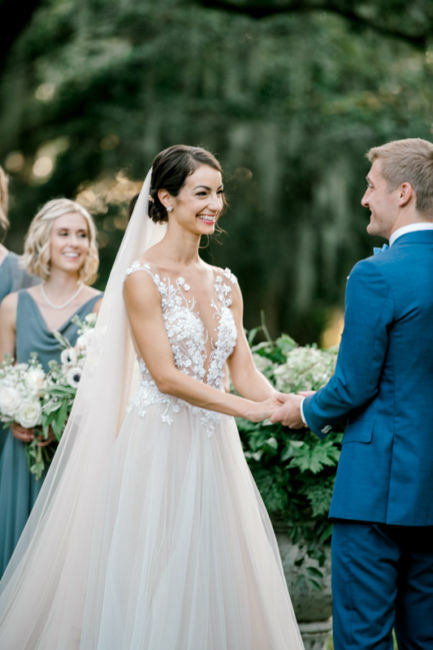 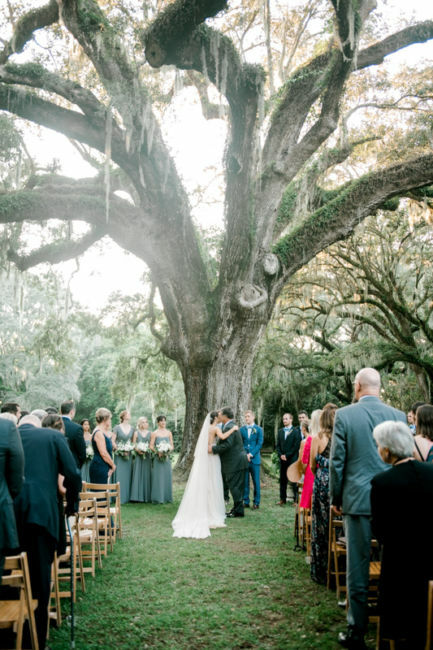 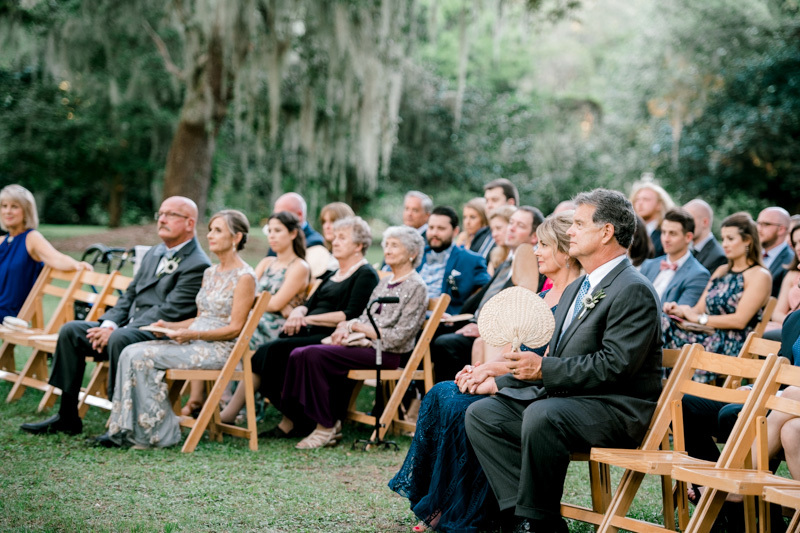 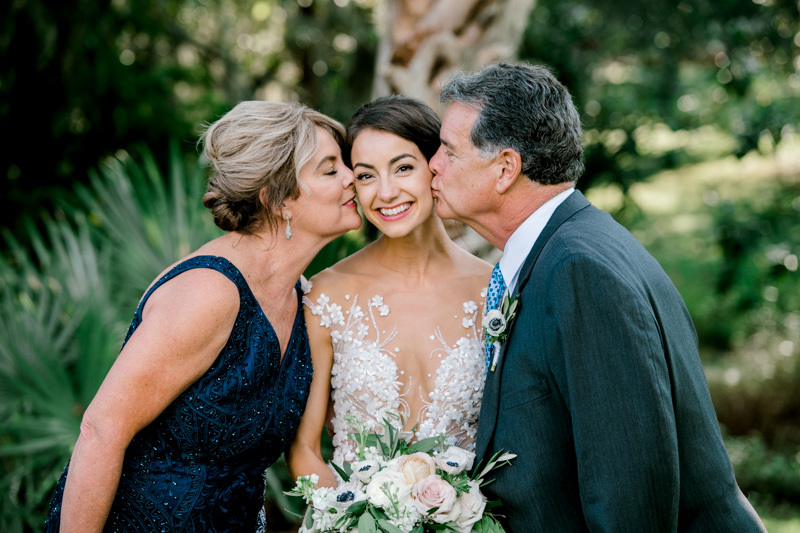 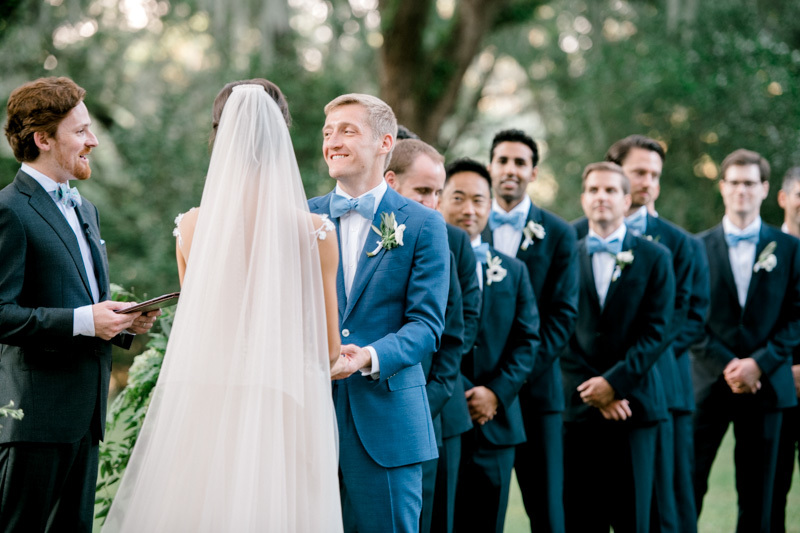 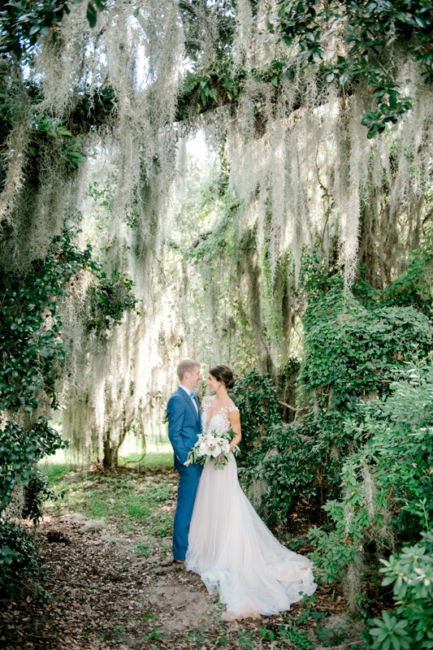 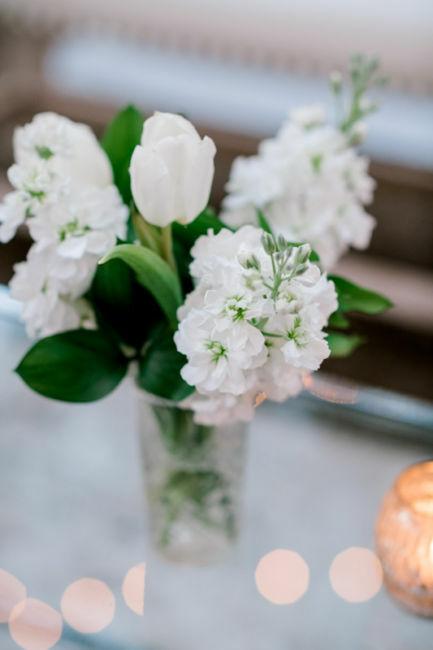 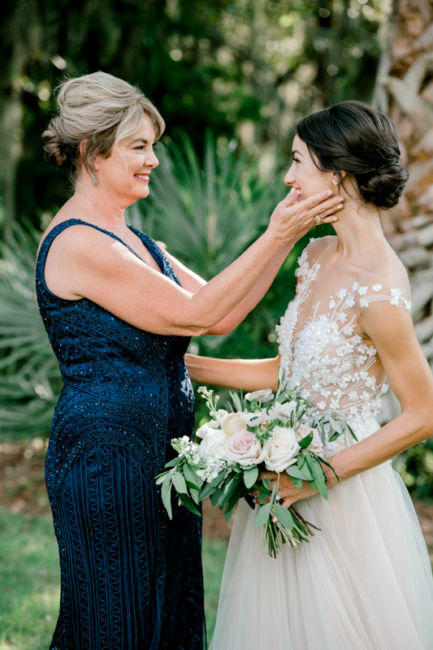 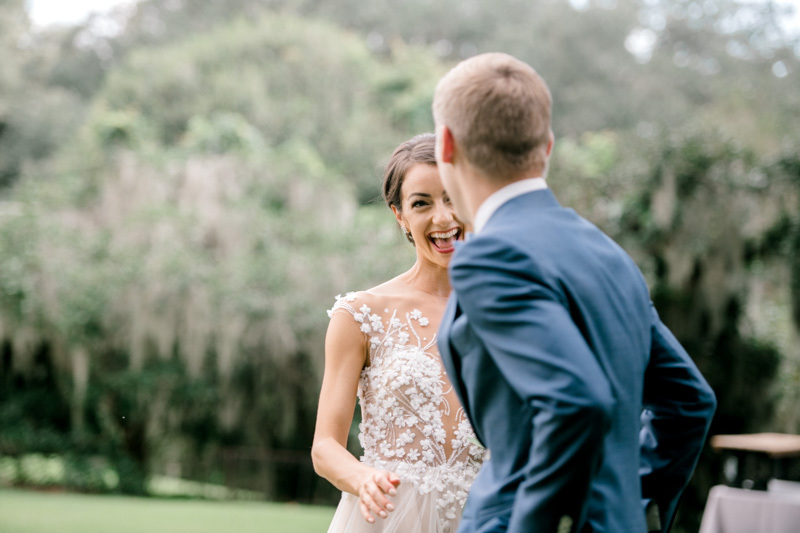 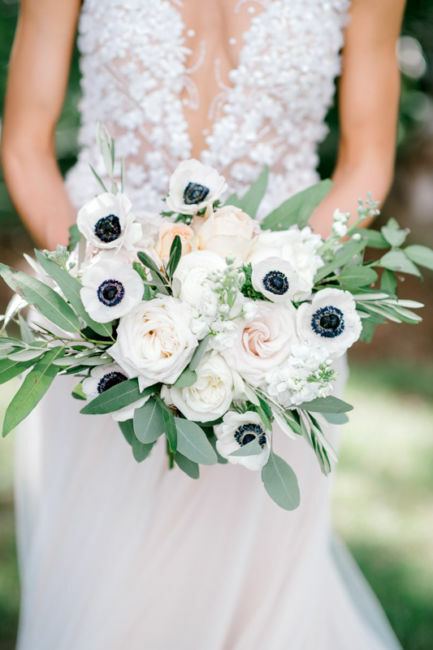 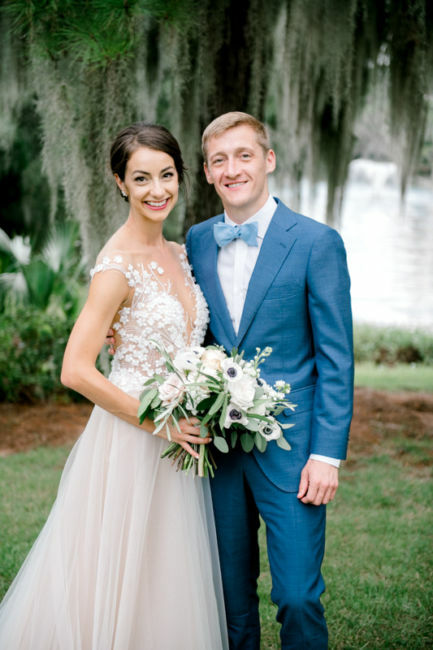 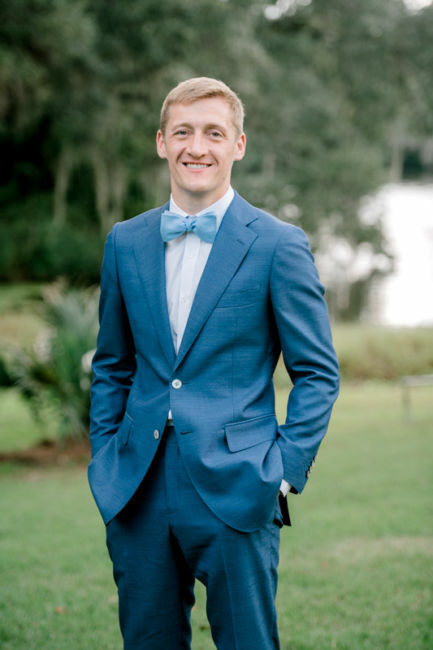 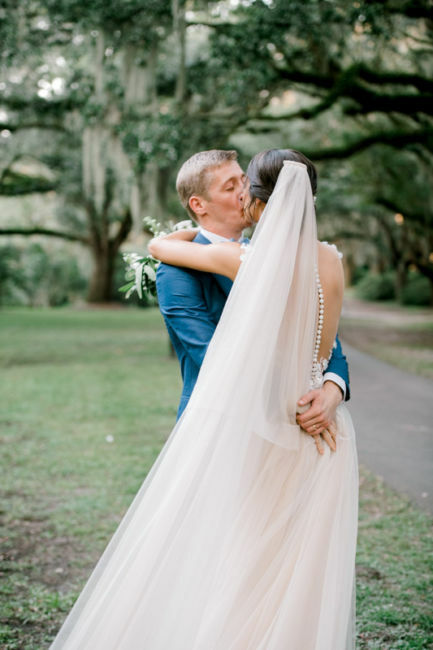 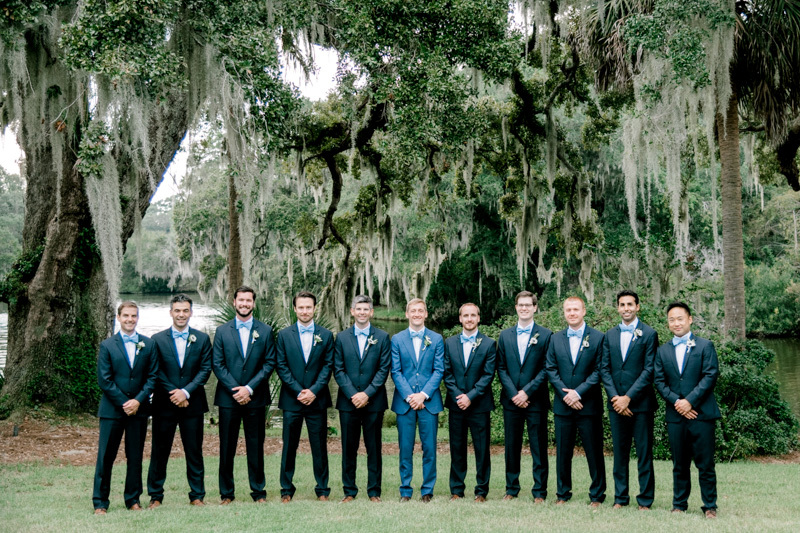 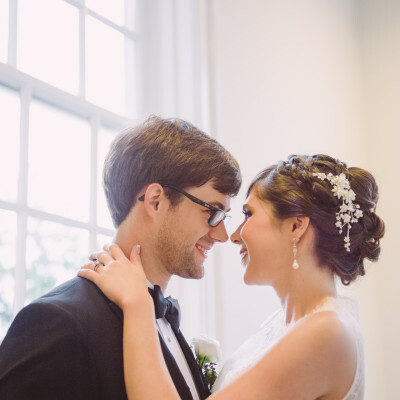 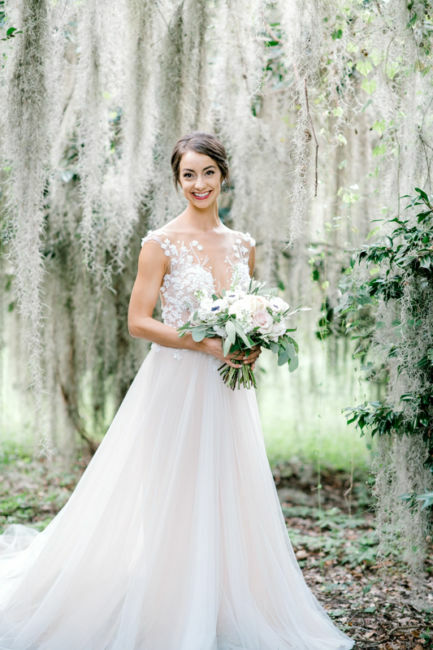 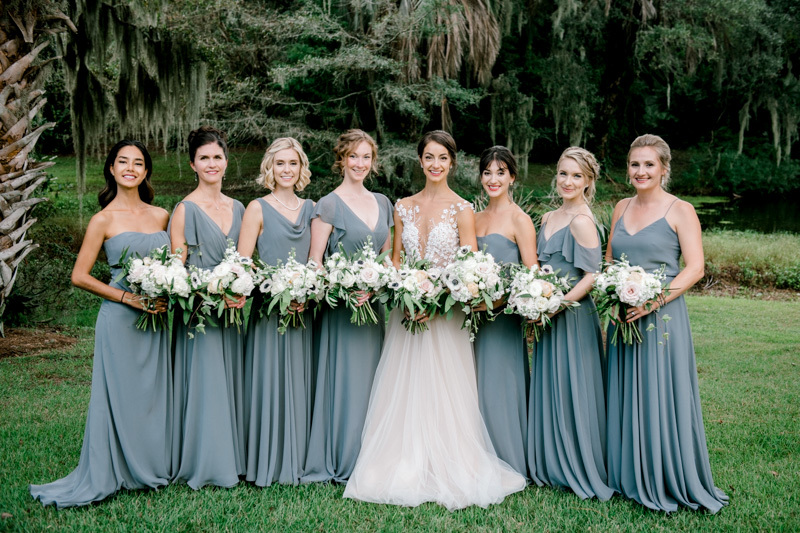 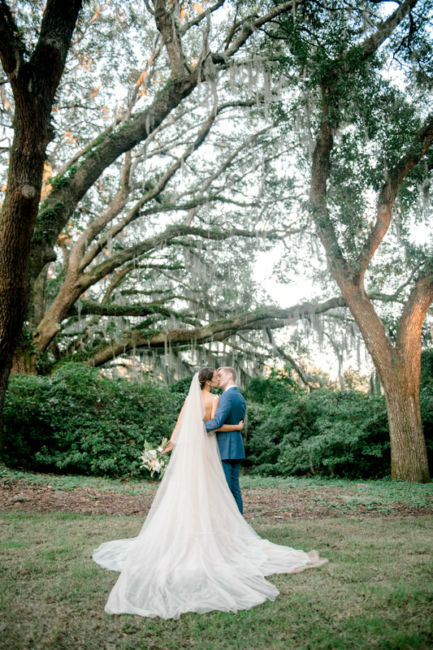 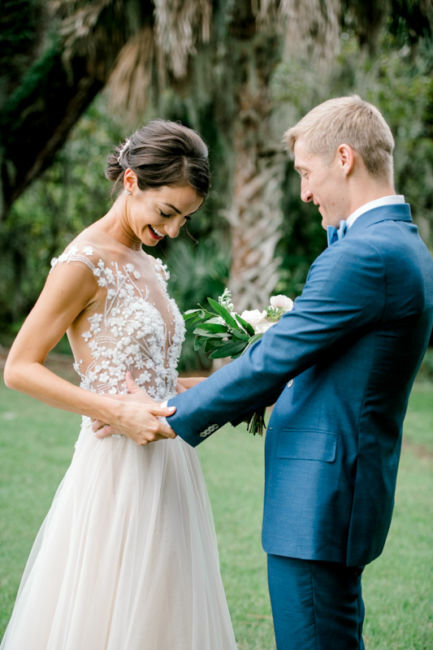 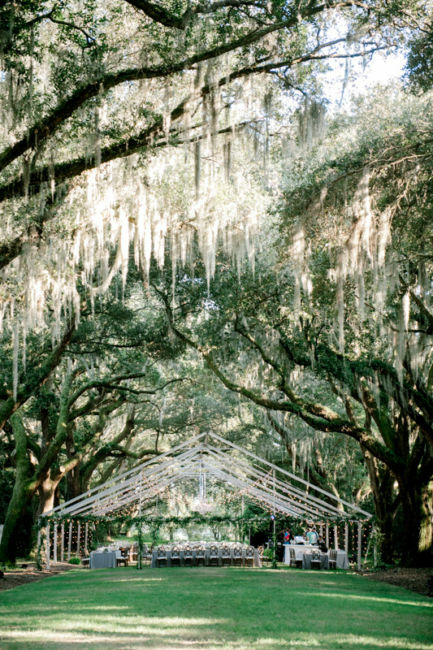 The newlyweds wanted their entire wedding weekend to highlight all the amazing aspects of the city – the food, the breathtaking scenery of the oak trees and Spanish moss, and the romantic atmosphere of the Legare Waring House. 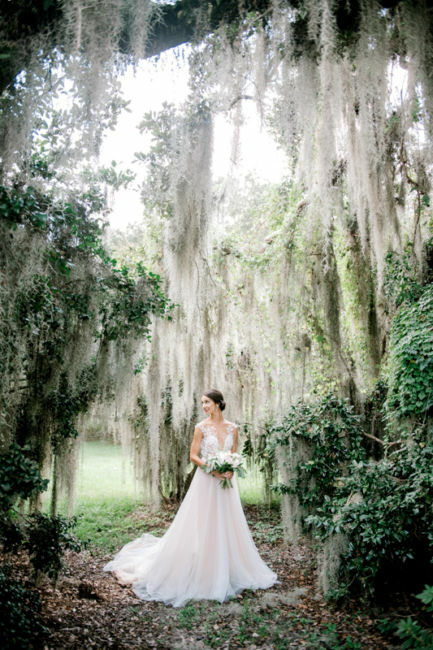 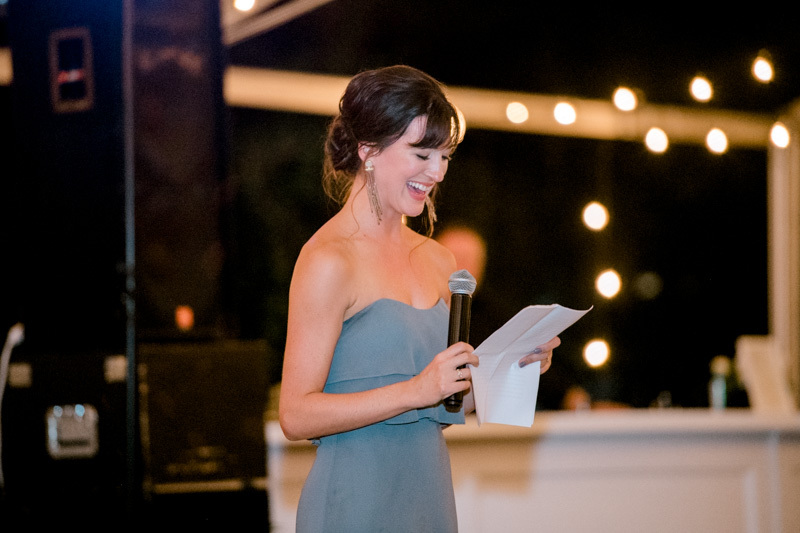 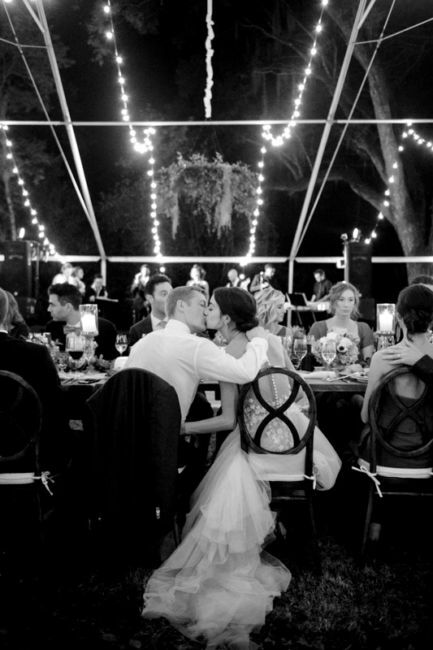 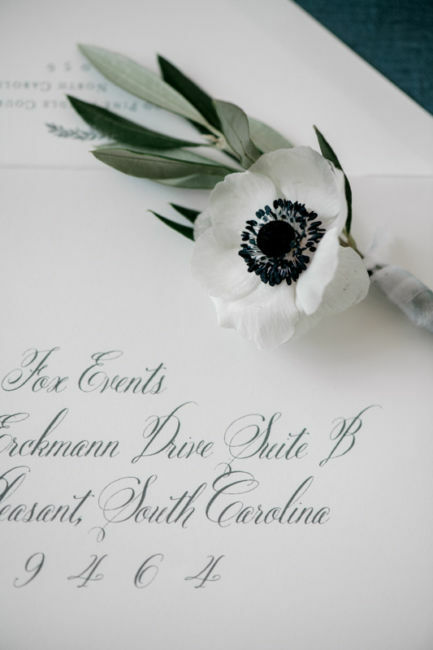 Lindsay Merhege of Fox Events took “romantic” and created the most gorgeous wedding scape! 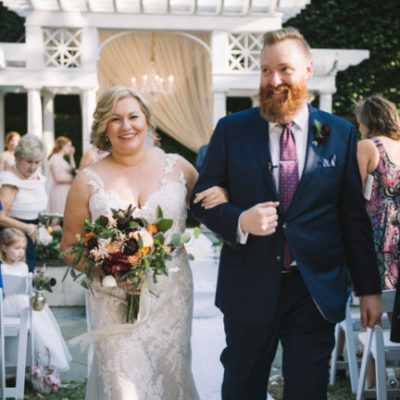 The October wedding was beautiful. 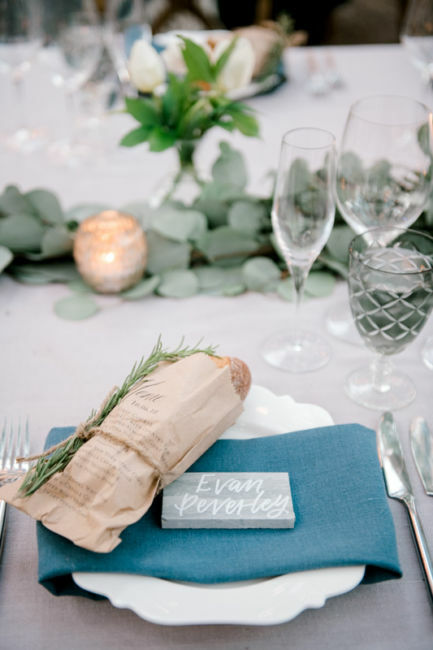 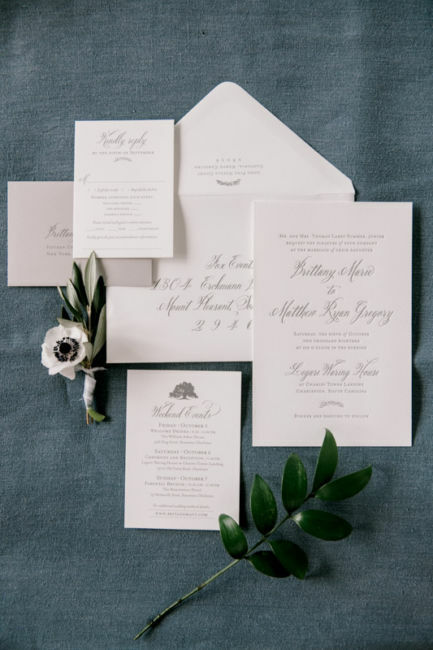 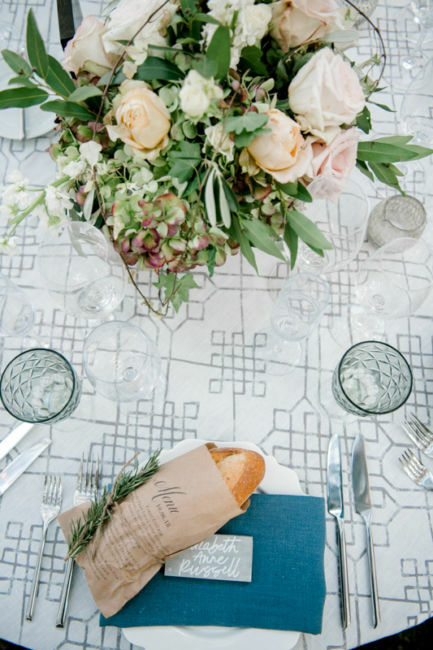 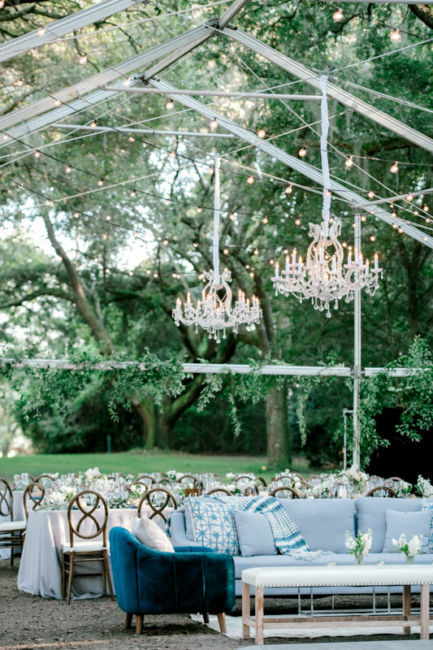 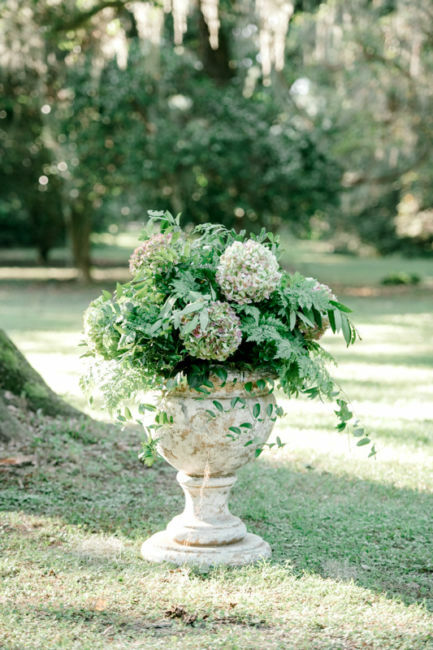 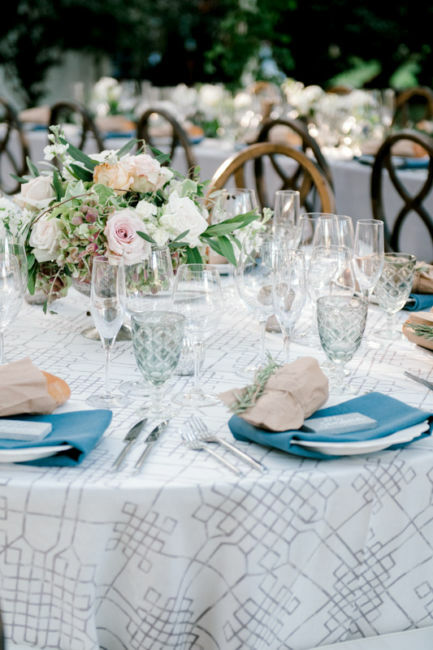 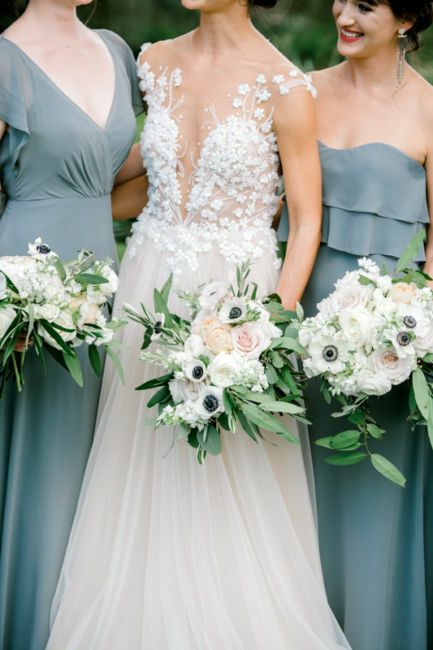 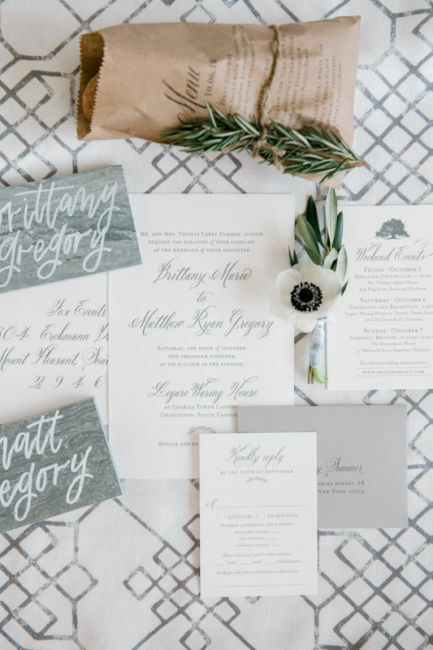 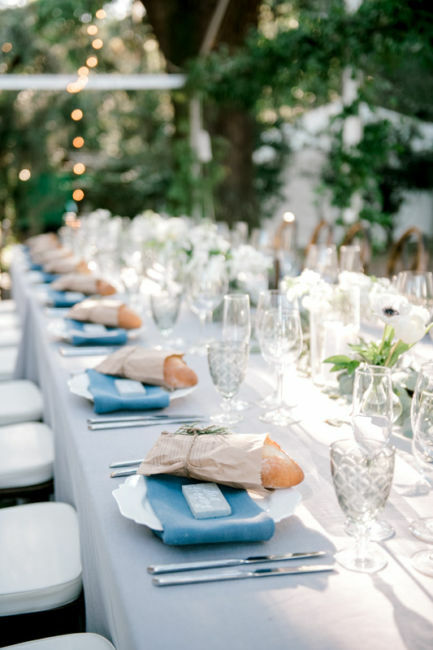 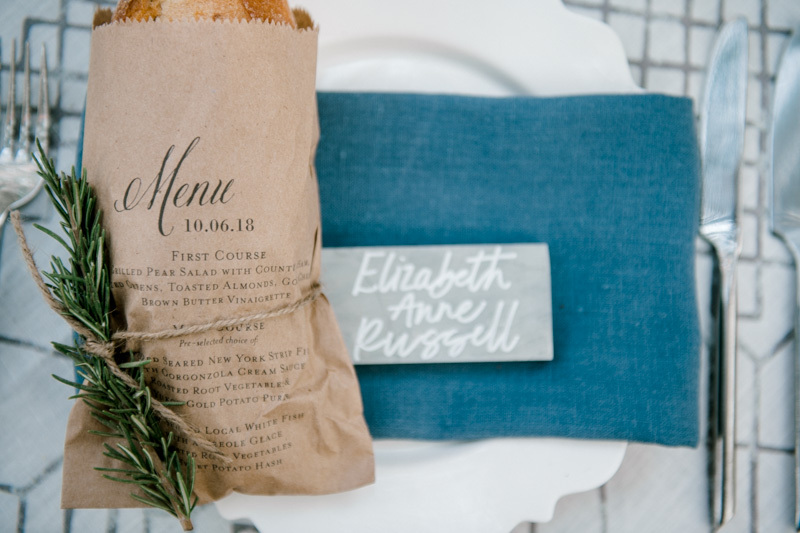 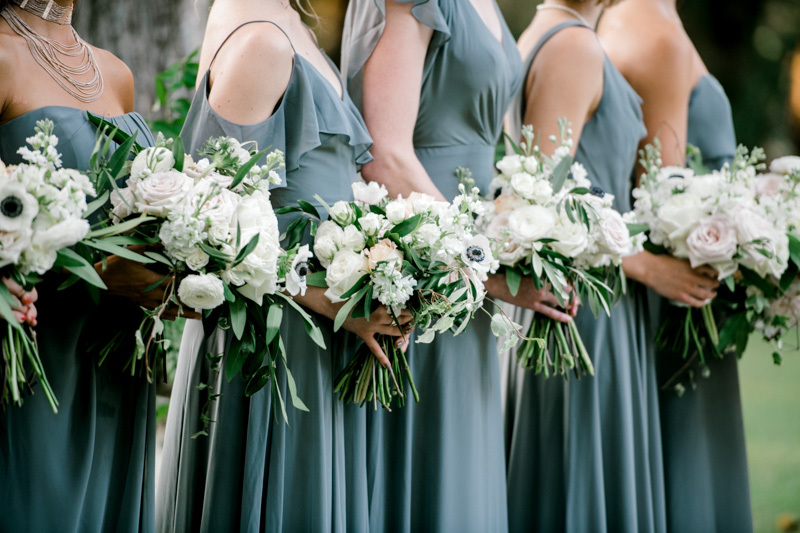 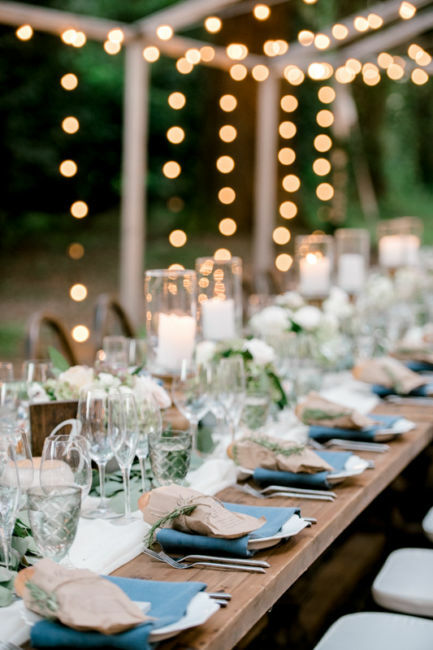 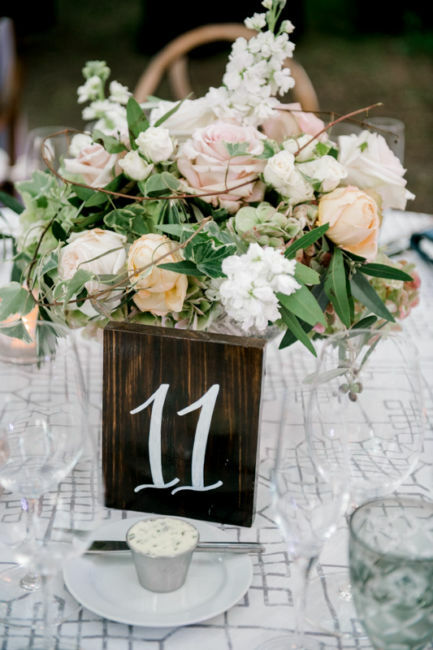 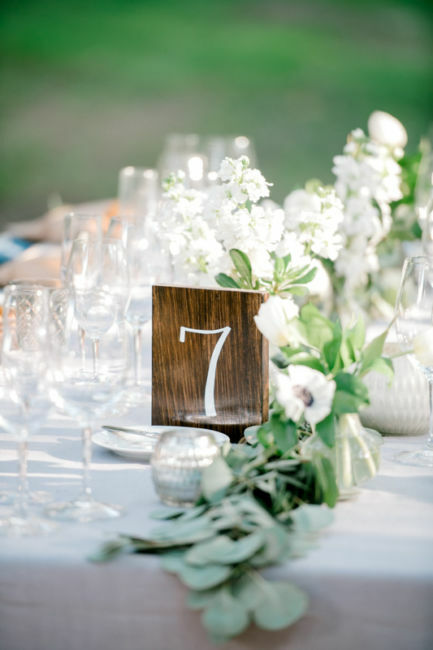 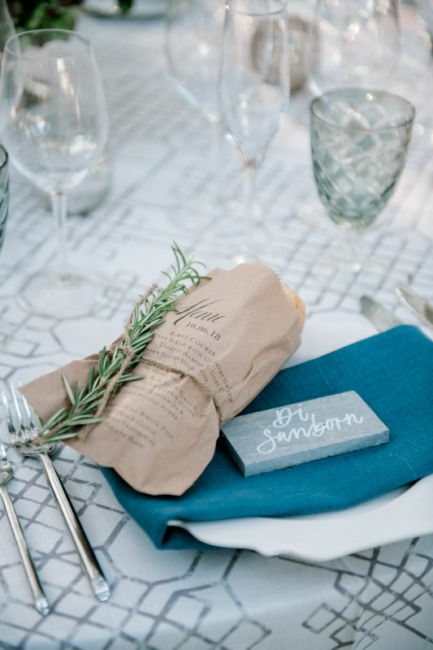 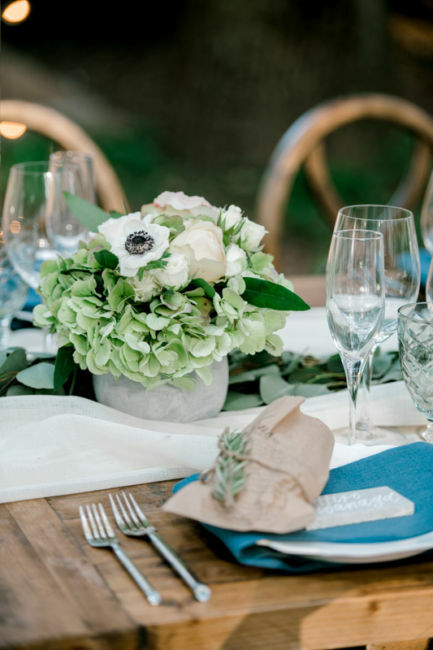 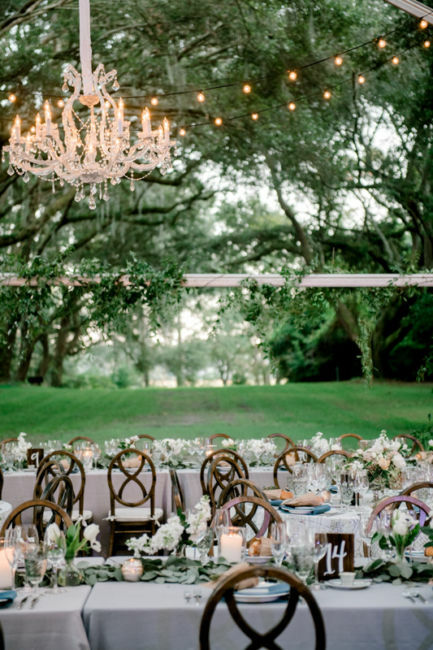 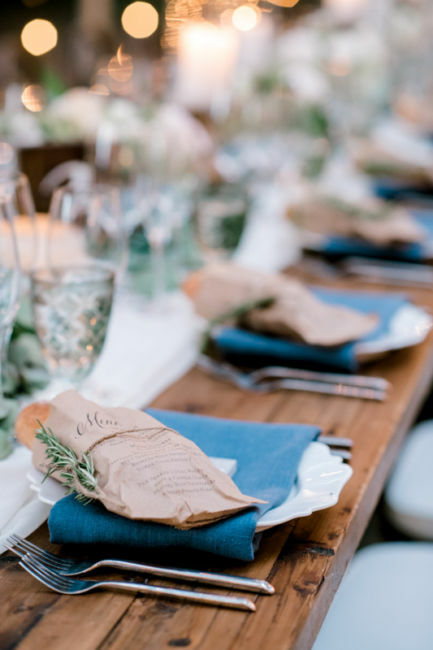 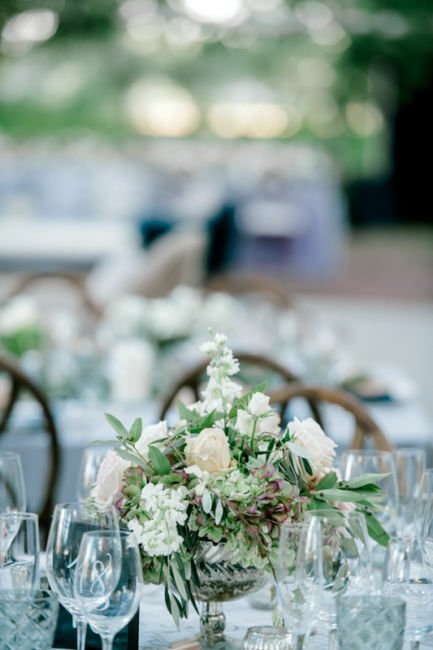 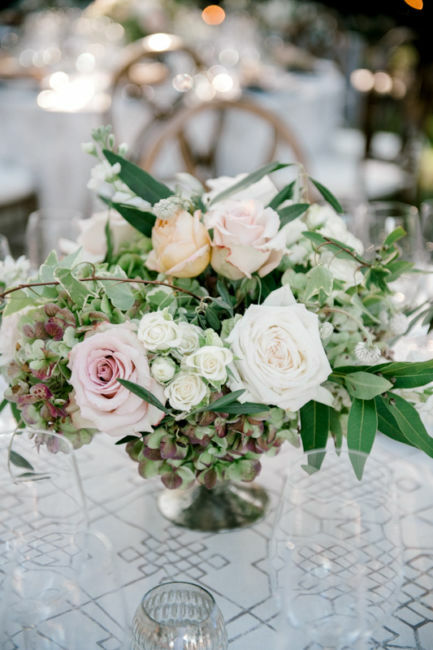 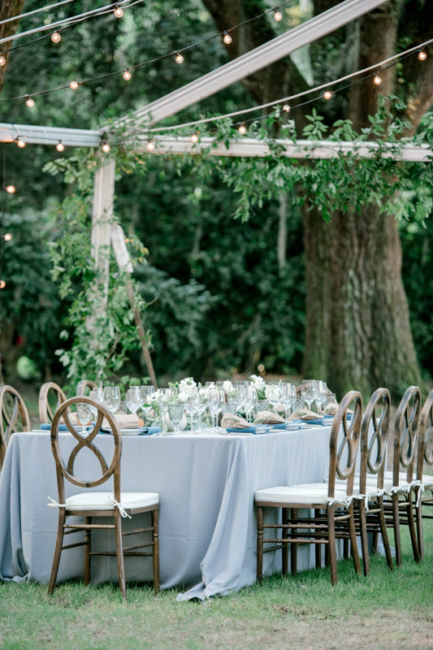 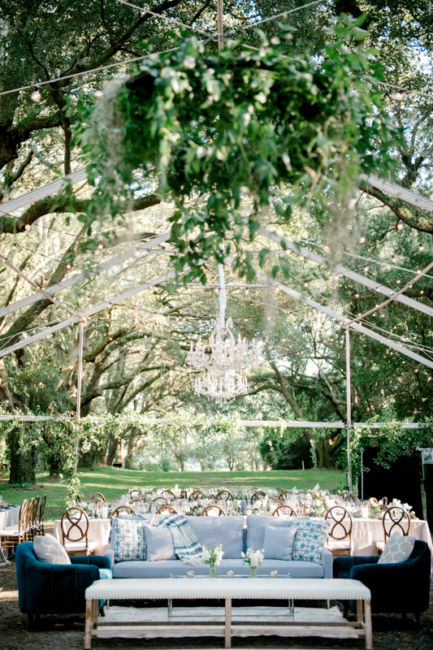 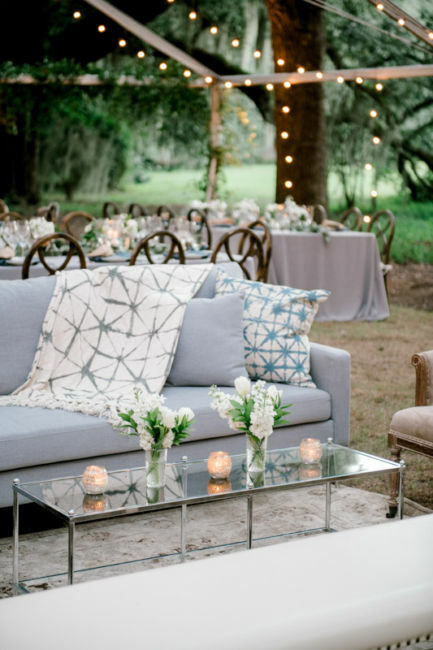 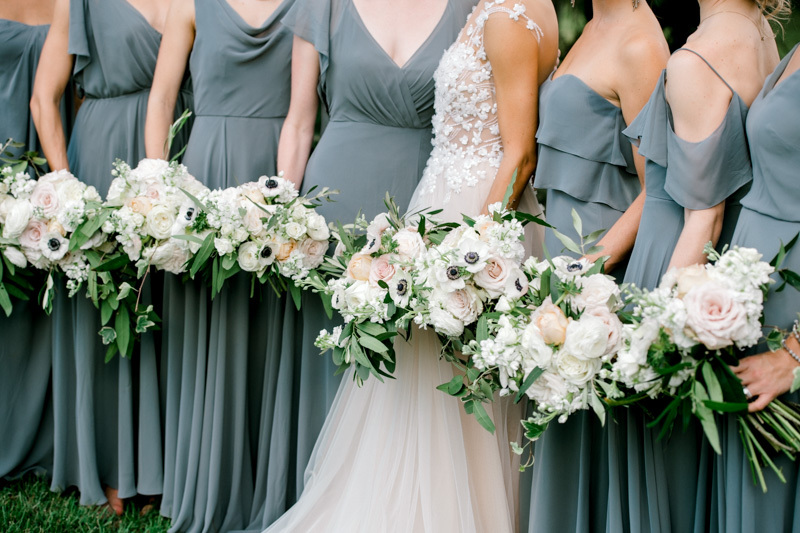 The neutral tones highlighted the greenery and elegance of the venue. 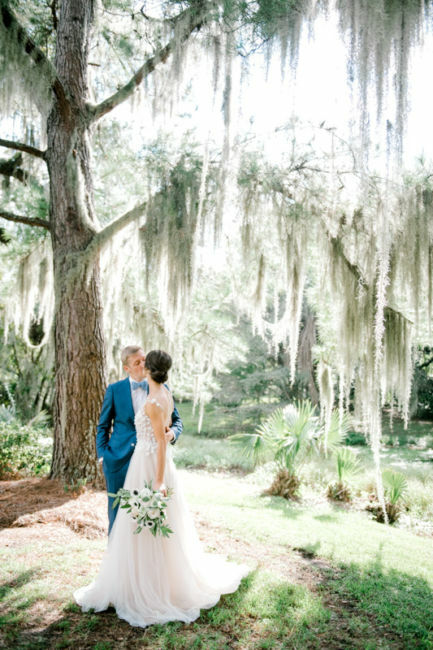 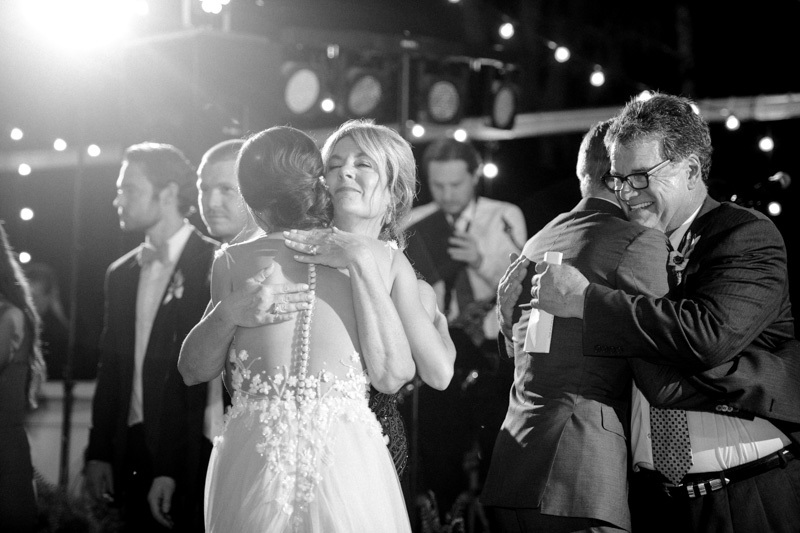 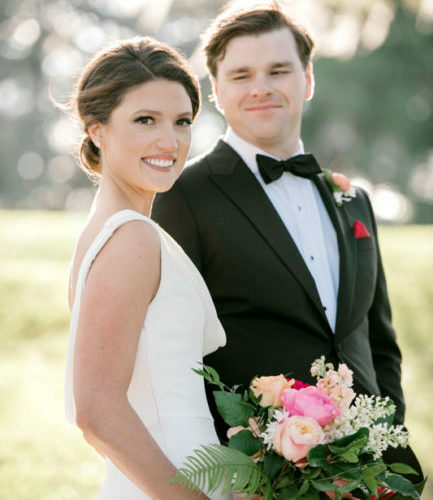 Both Brittany and Matt were glowing on their wedding day. 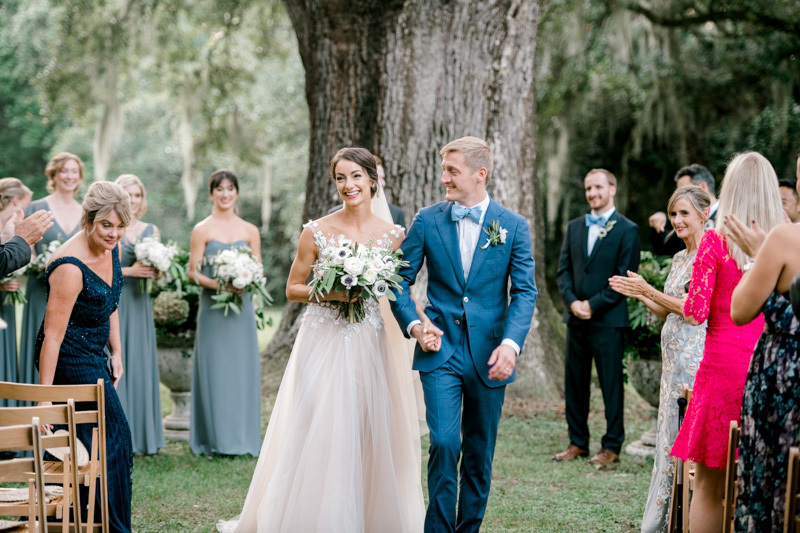 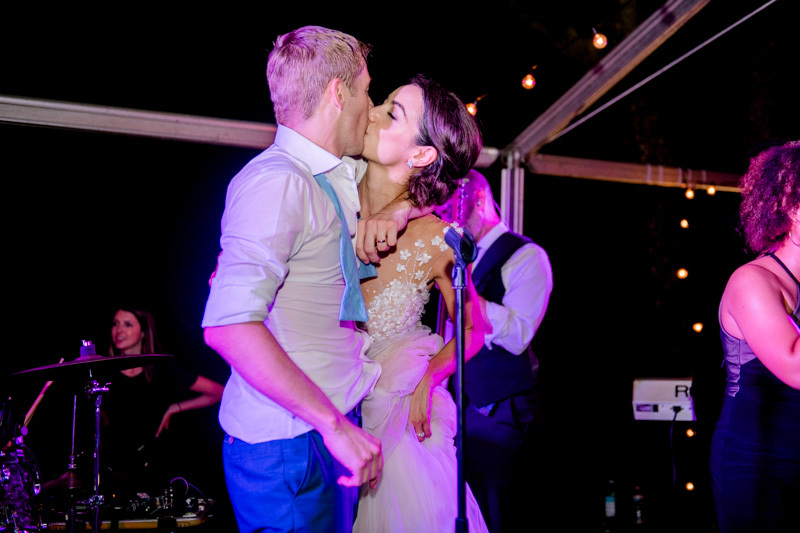 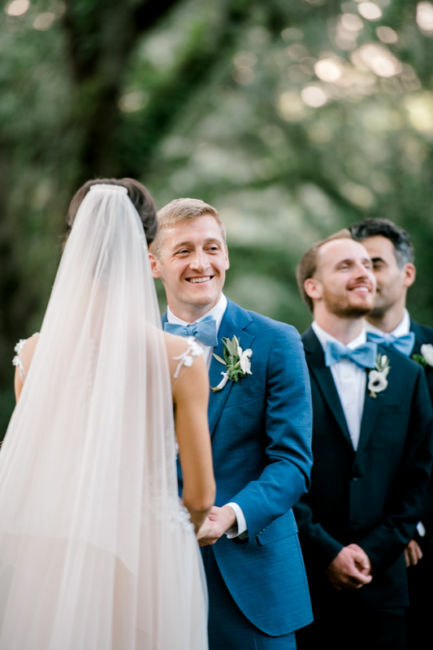 Brittany looked stunning in her Lee Petra Grebenau gown and Matt was so handsome in his blue tuxedo!